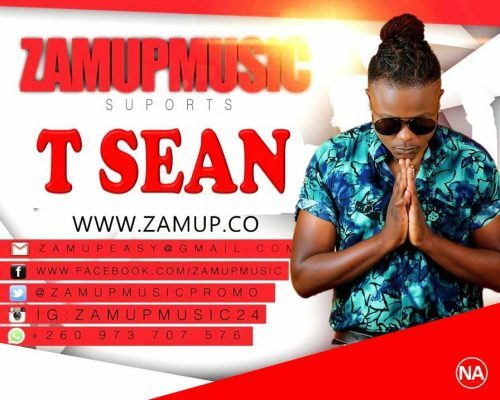 T-Sean has finally released his new album, “Grateful” that is as good or better than his previous studio projects. 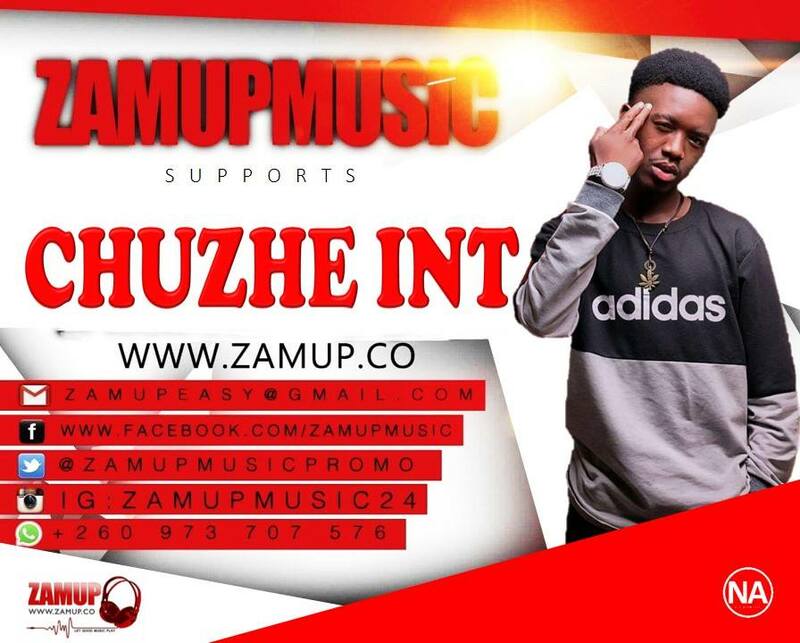 With hit songs such as “Umpatefye”, “Speedometer Burn Up” and “Dumpe,” the 13-track album is revitalized by features from Badman Shapi, Mohsin Malik, Elisha Long and Bow Chasewhile production is provided by Thee High Grade. 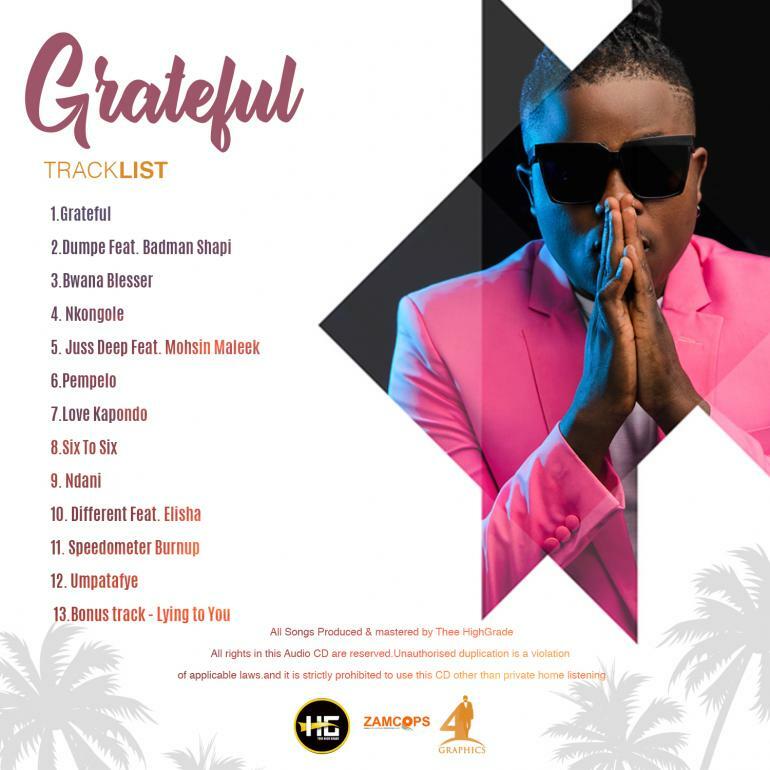 It’s about that time we jam to “Grateful“, the album is now available on all digital platforms worldwide. 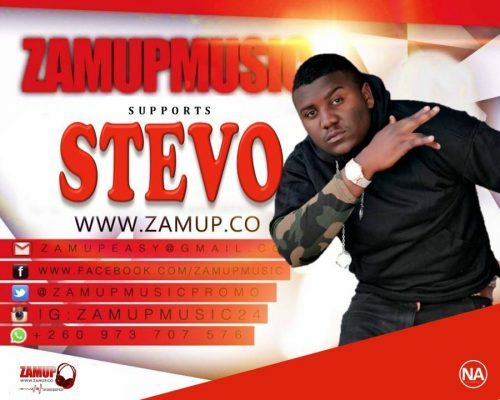 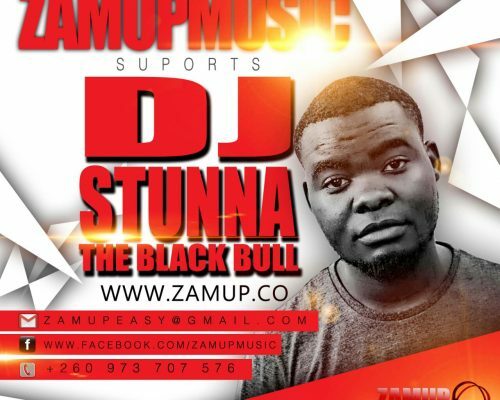 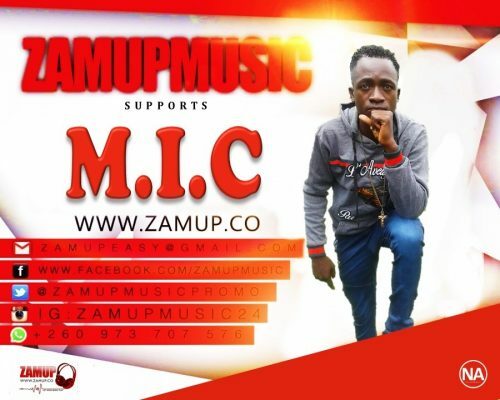 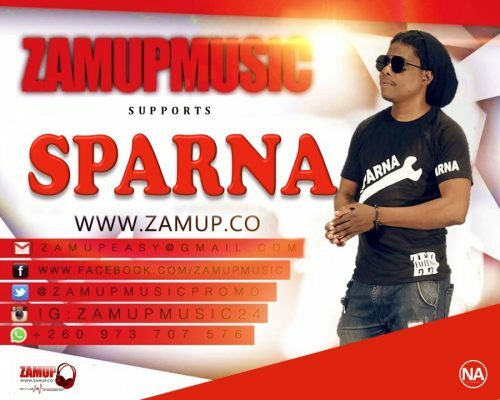 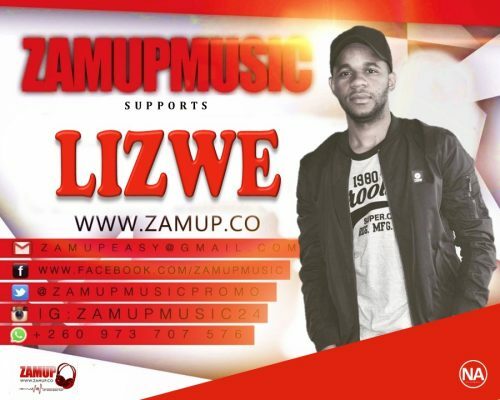 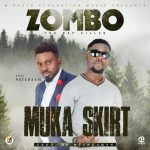 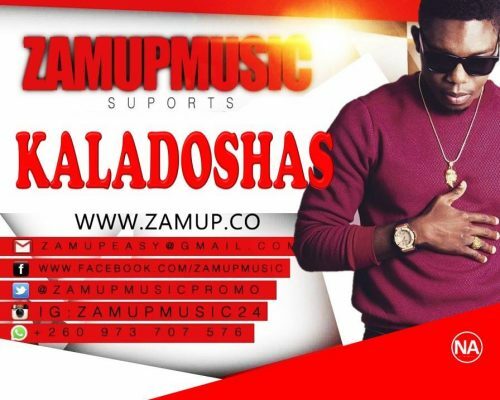 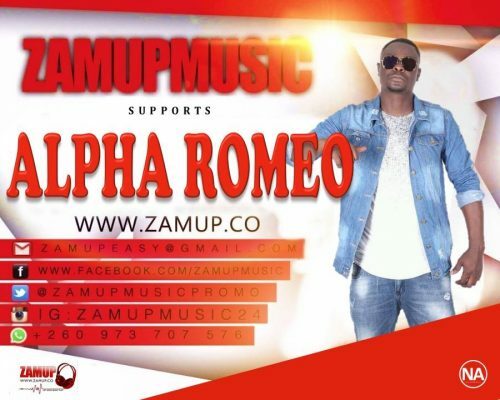 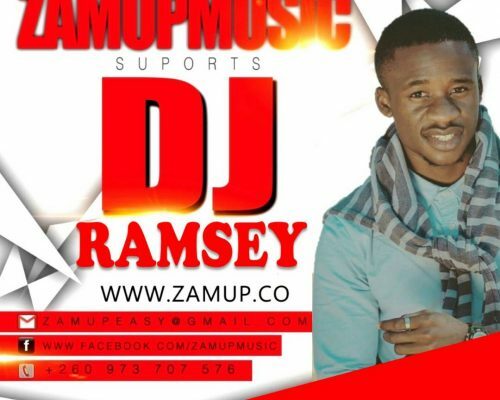 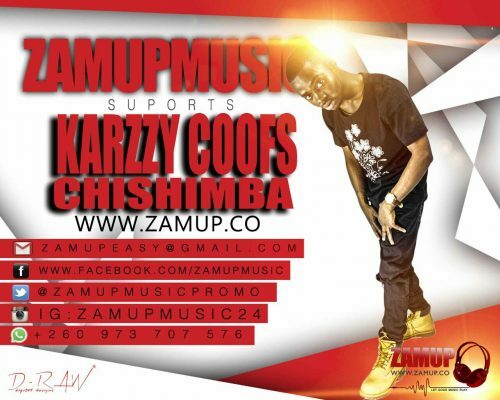 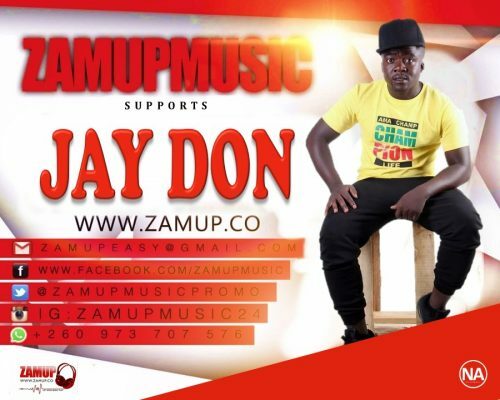 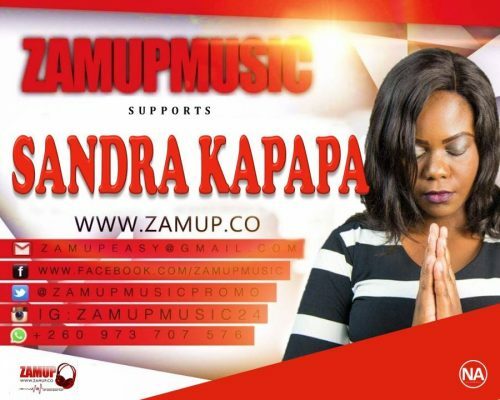 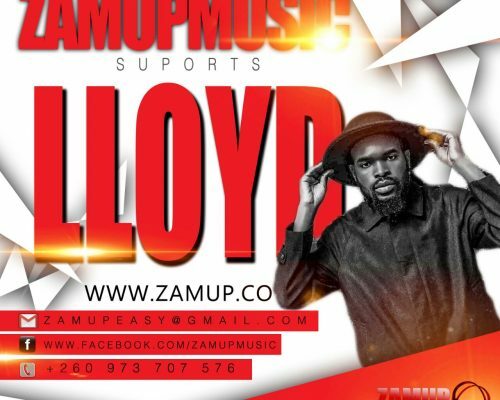 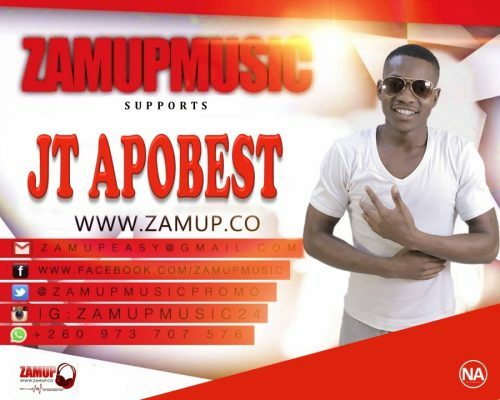 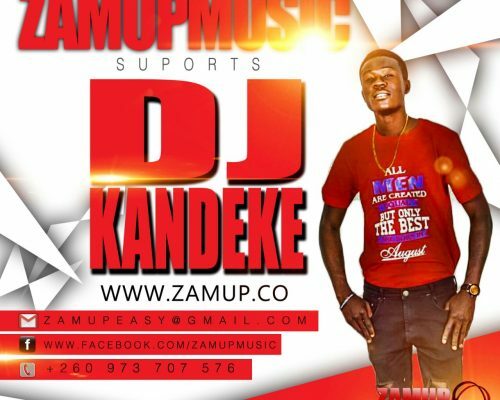 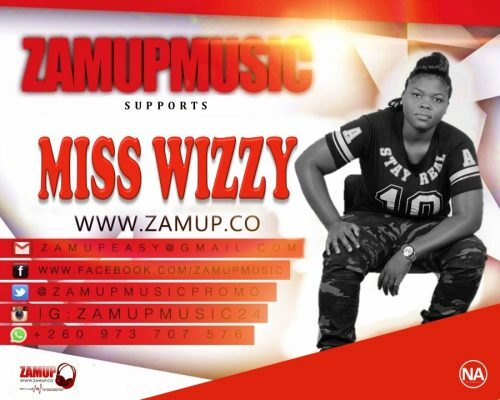 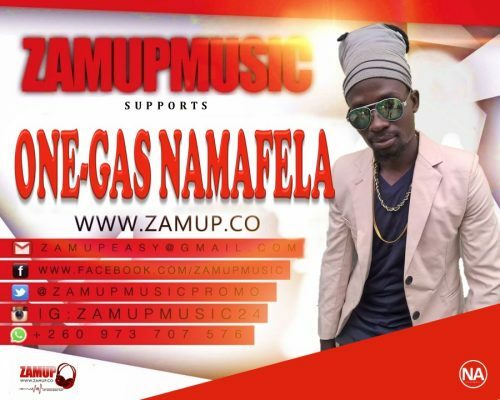 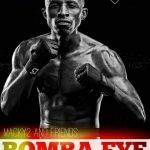 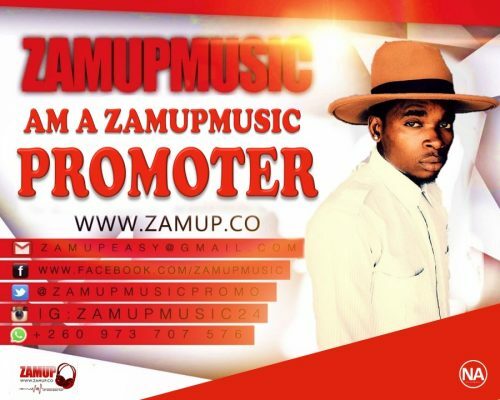 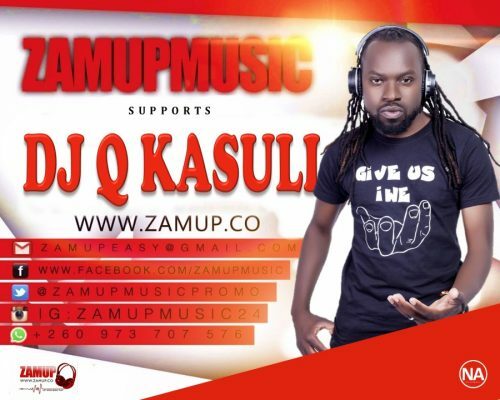 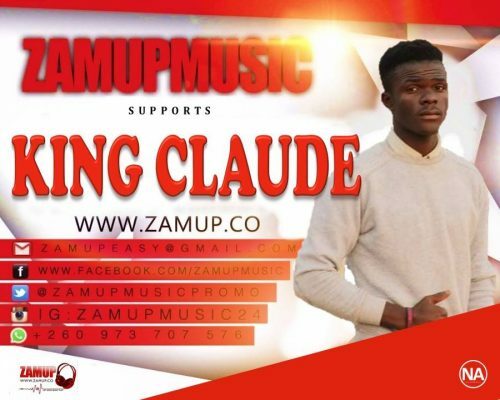 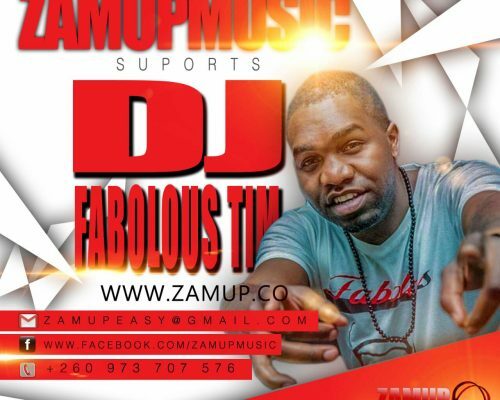 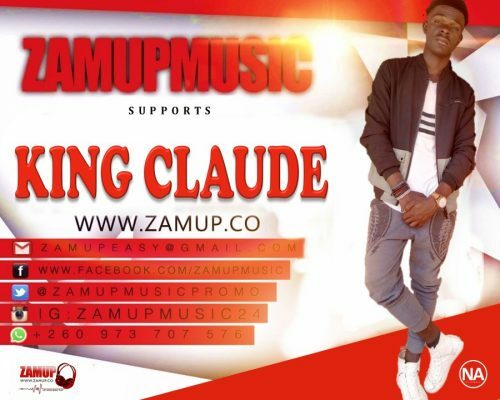 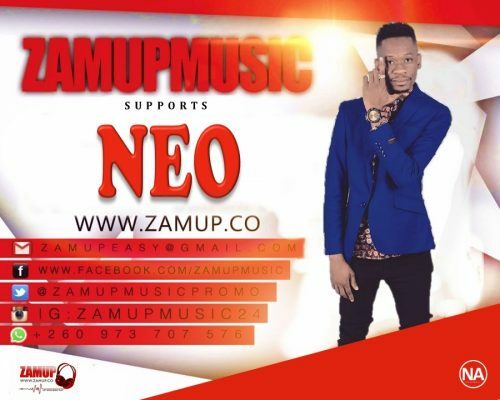 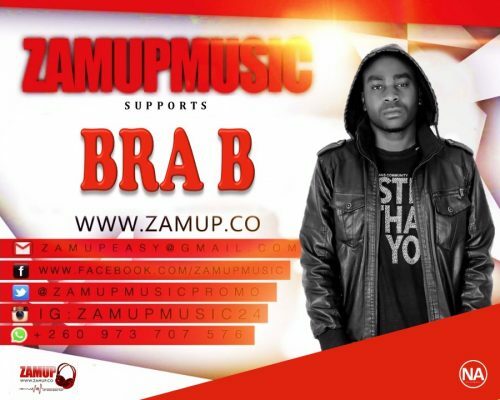 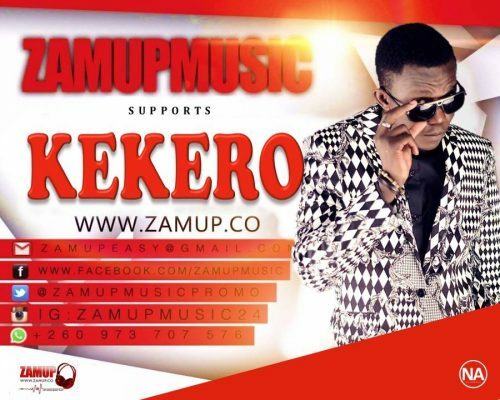 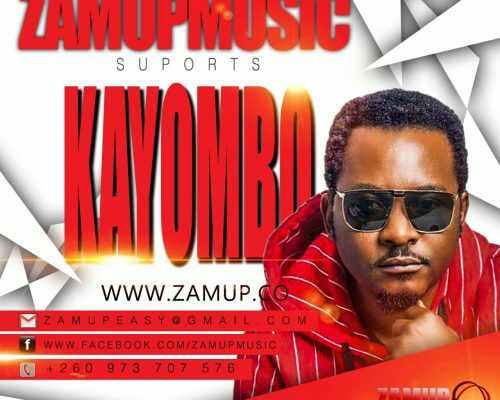 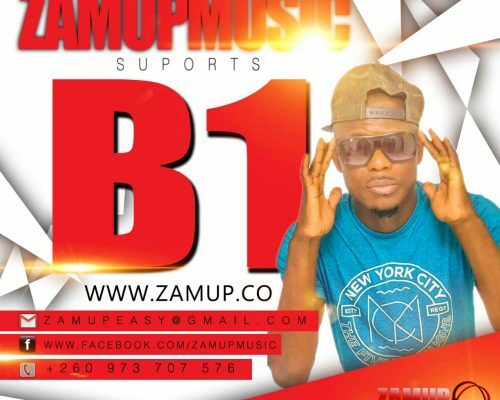 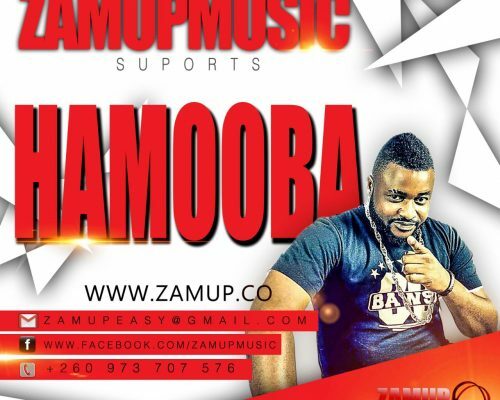 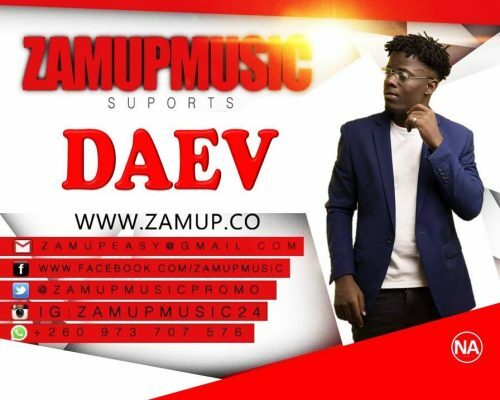 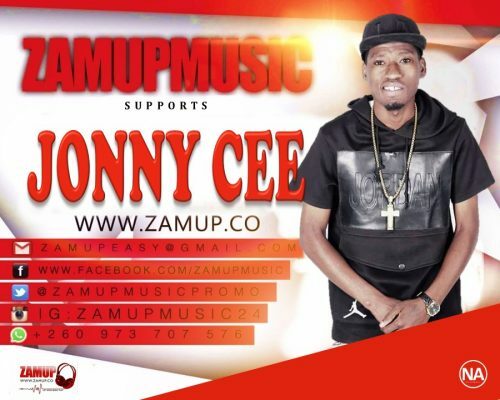 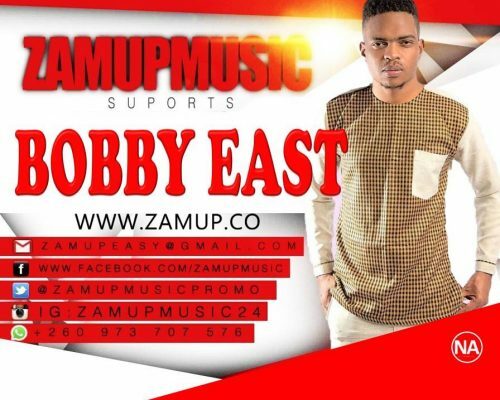 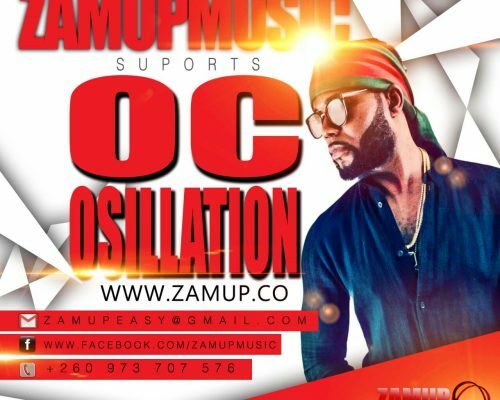 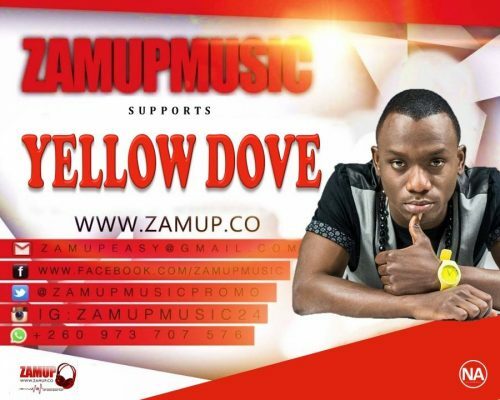 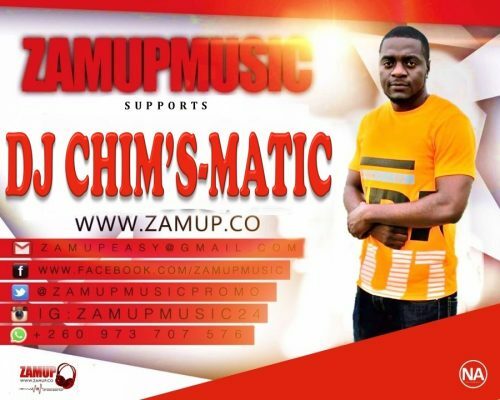 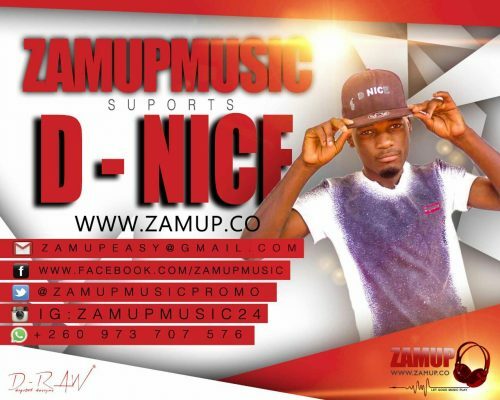 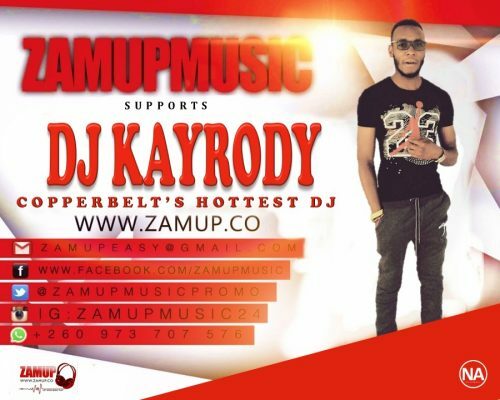 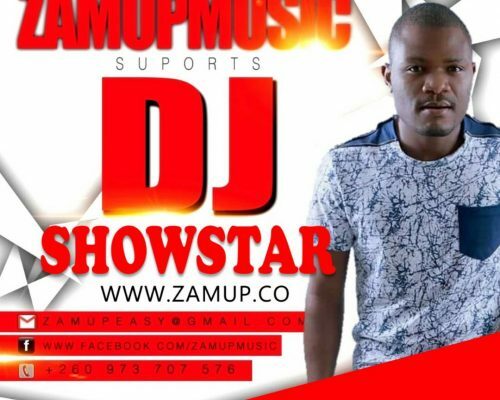 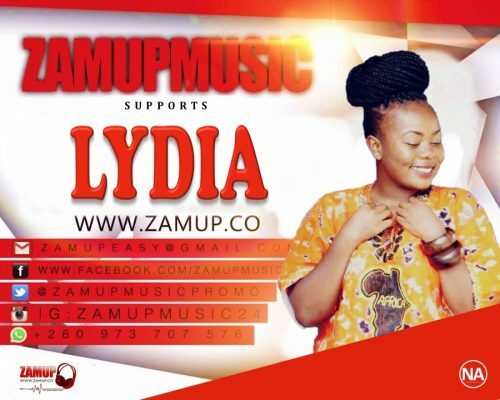 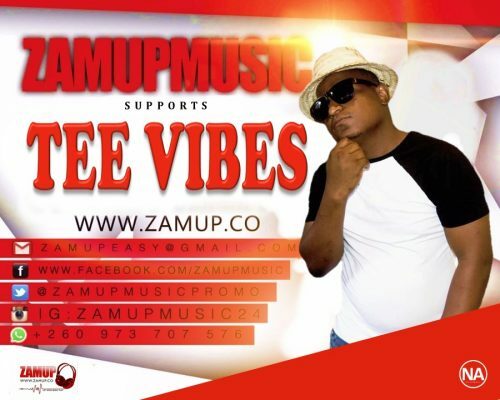 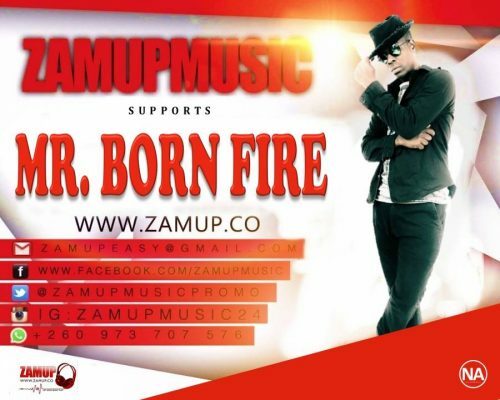 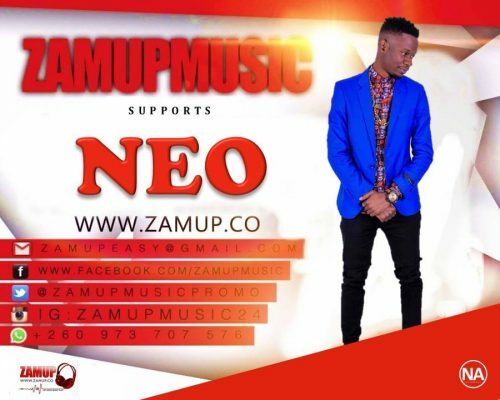 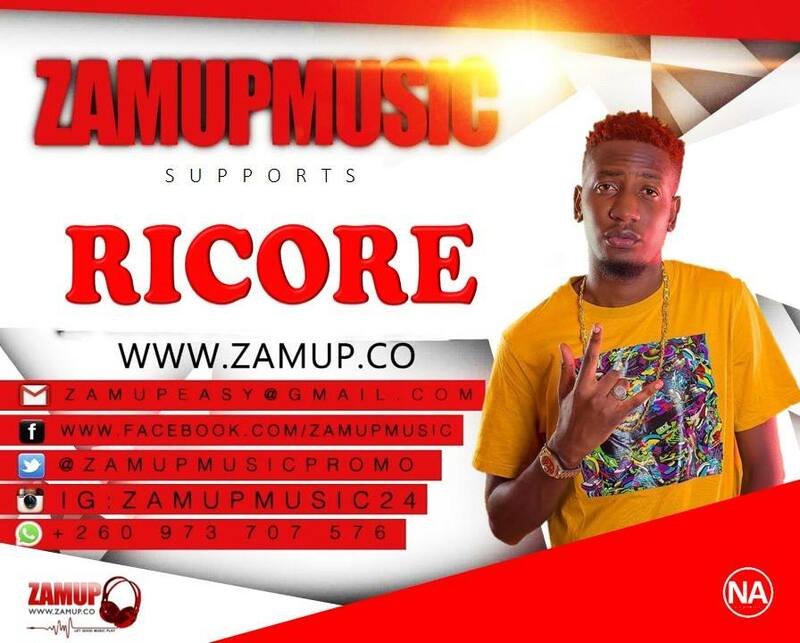 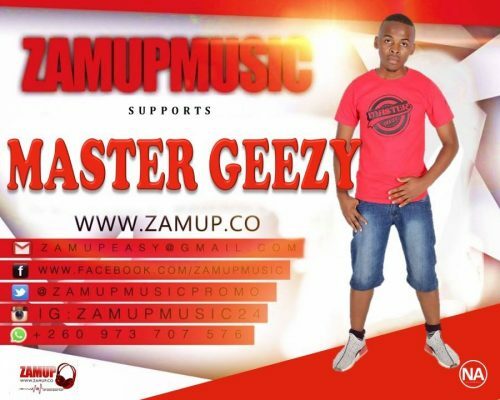 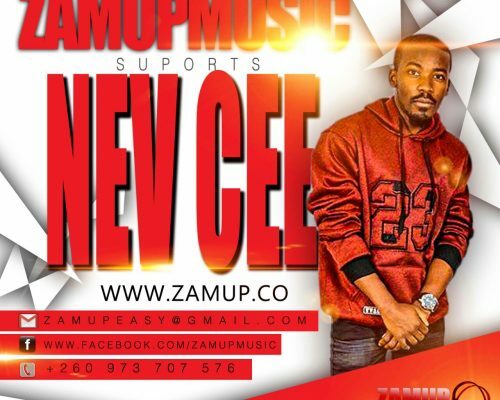 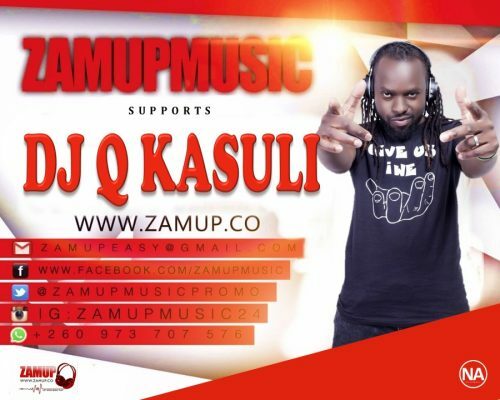 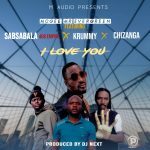 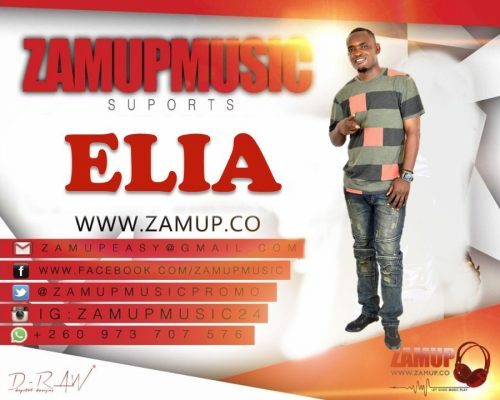 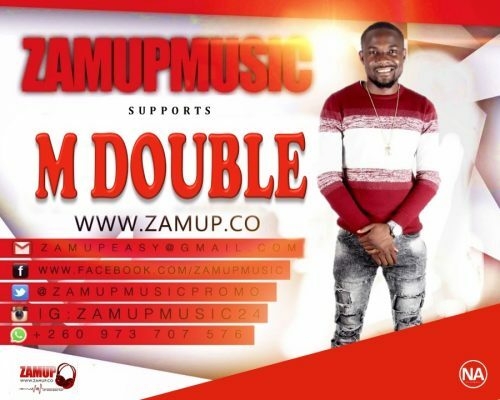 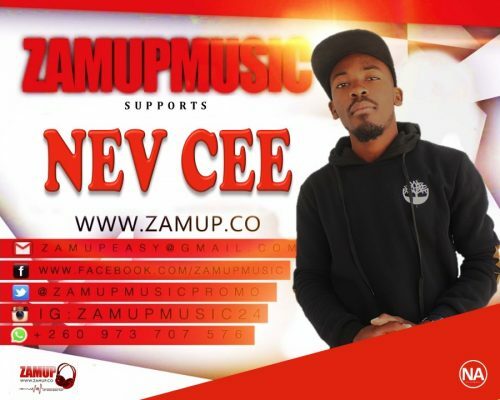 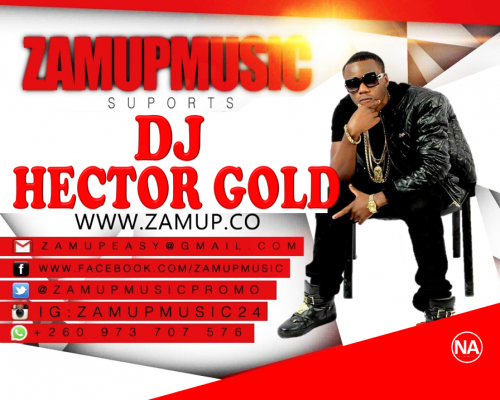 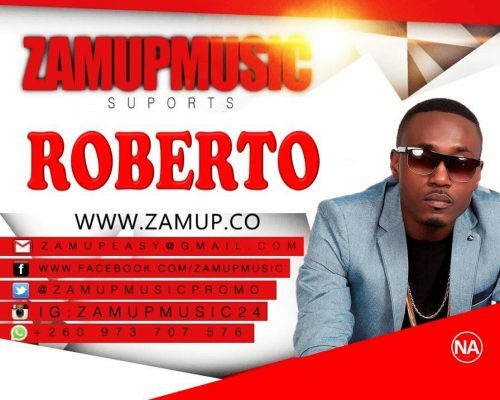 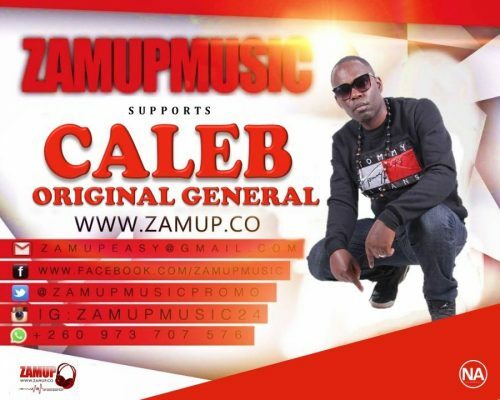 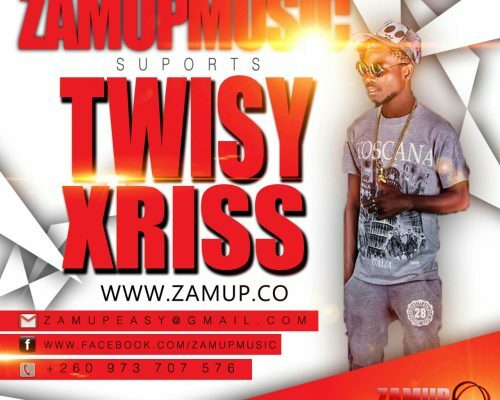 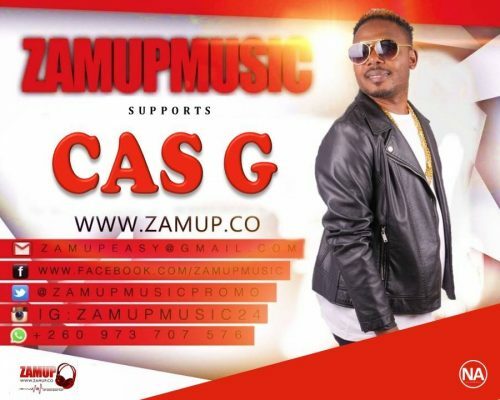 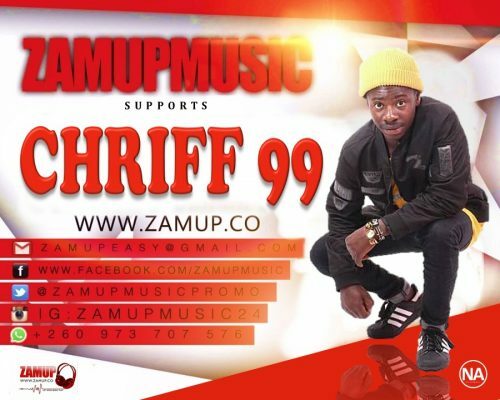 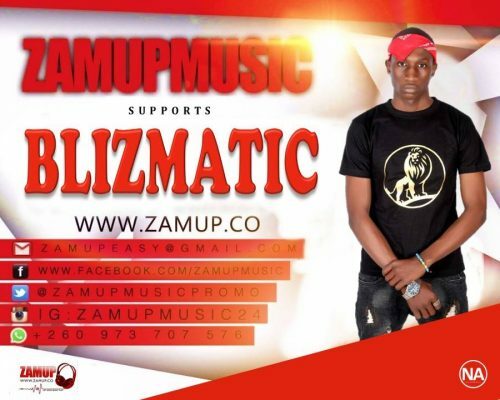 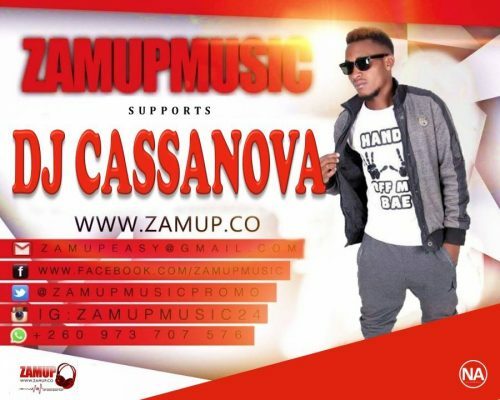 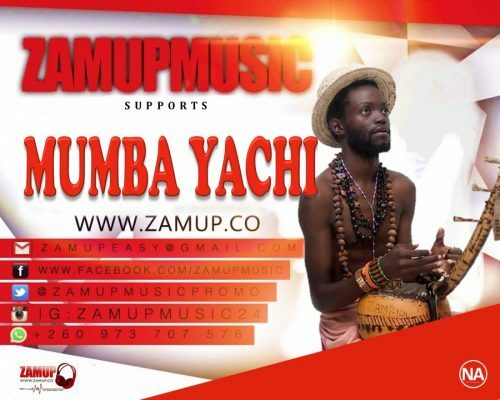 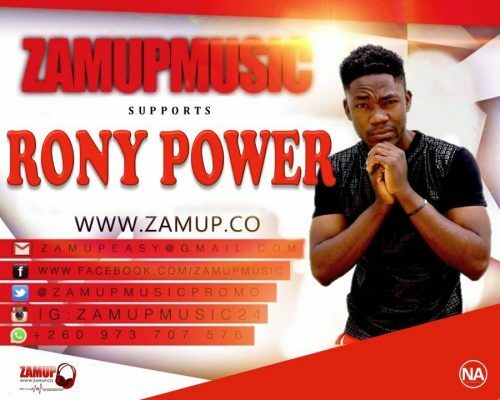 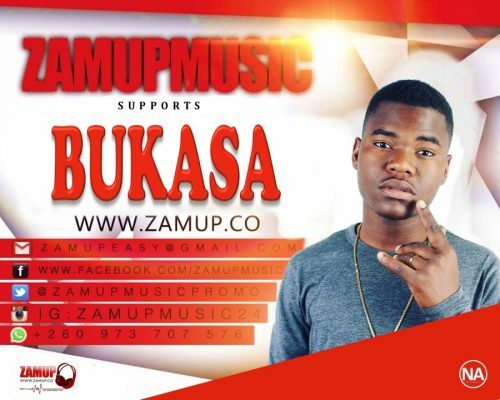 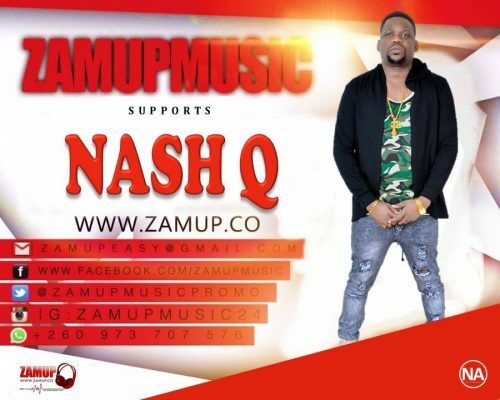 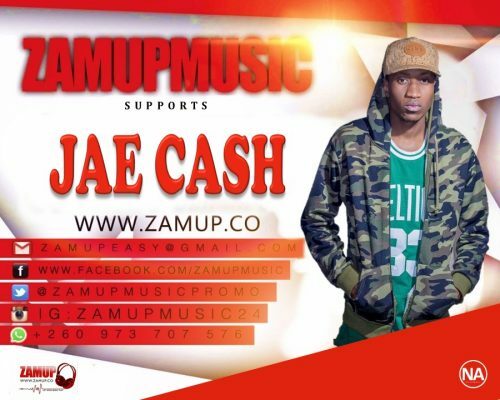 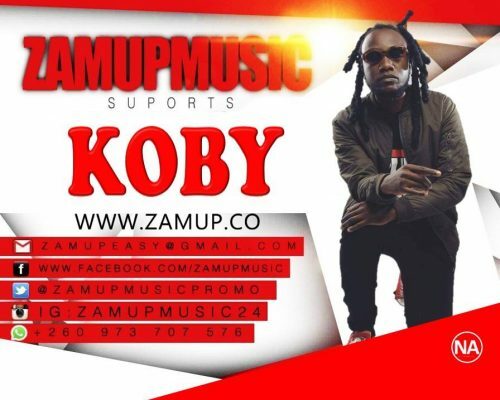 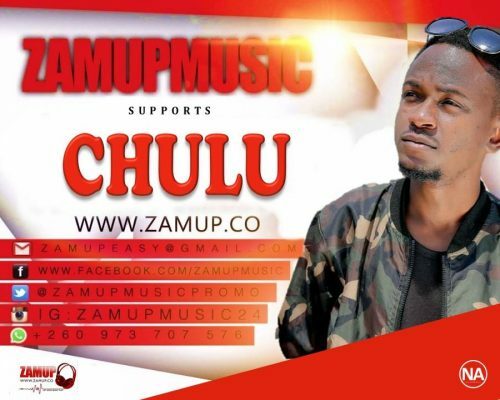 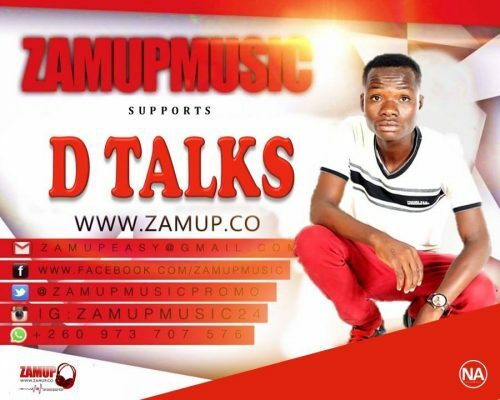 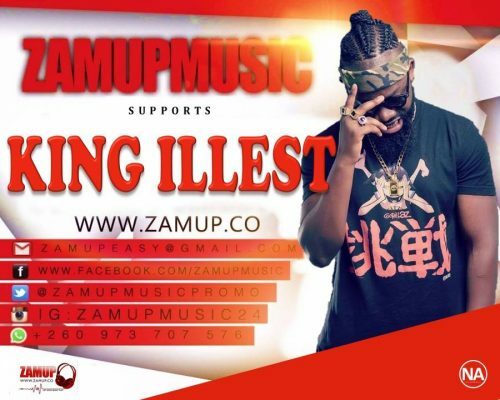 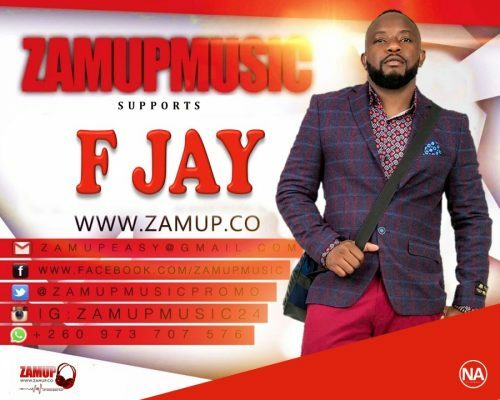 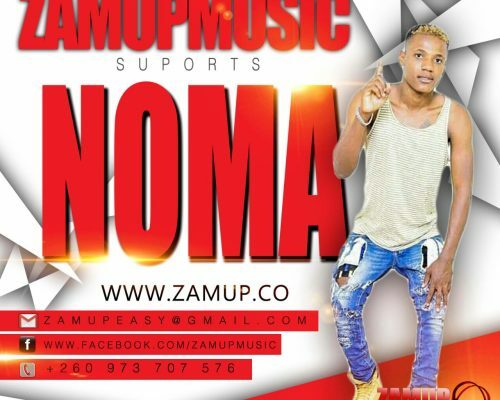 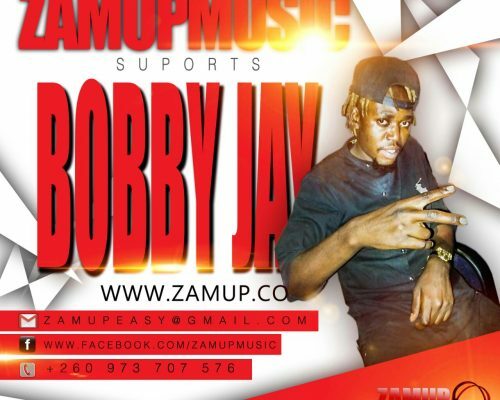 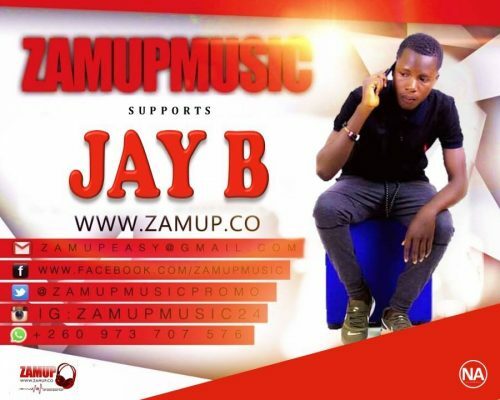 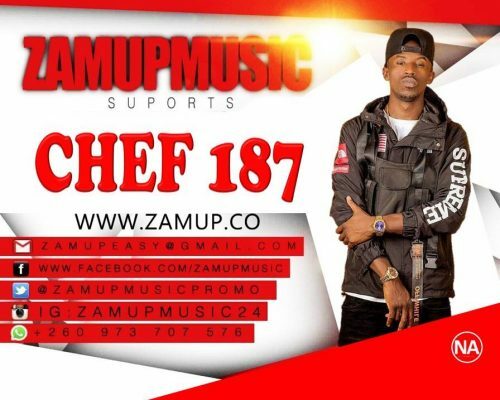 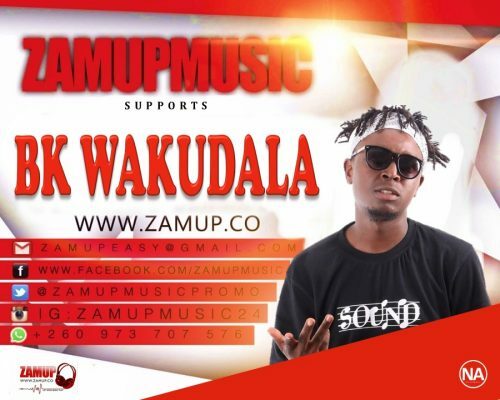 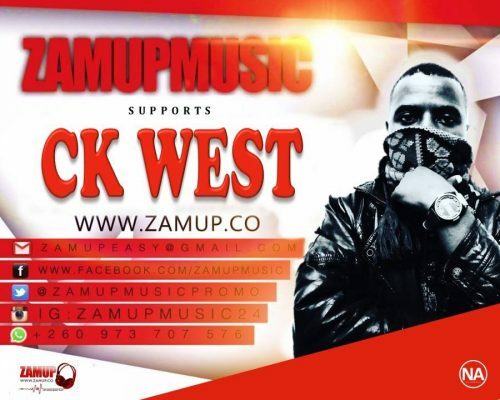 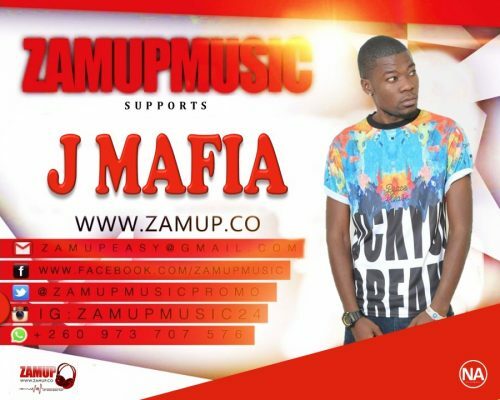 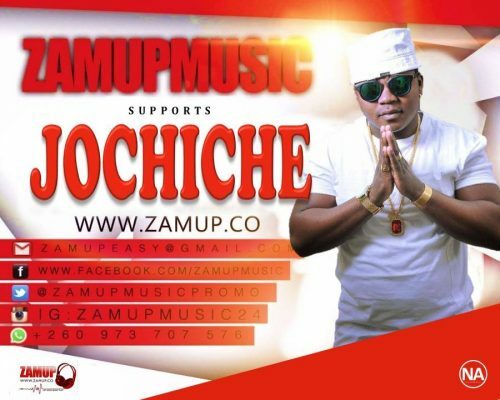 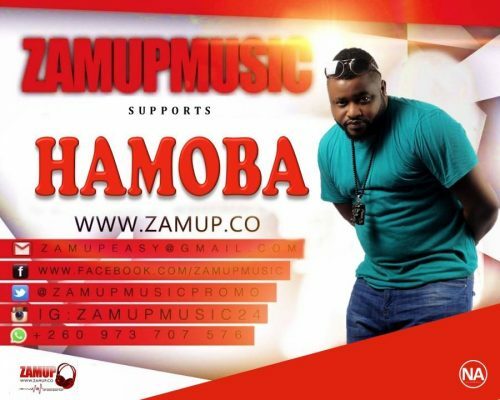 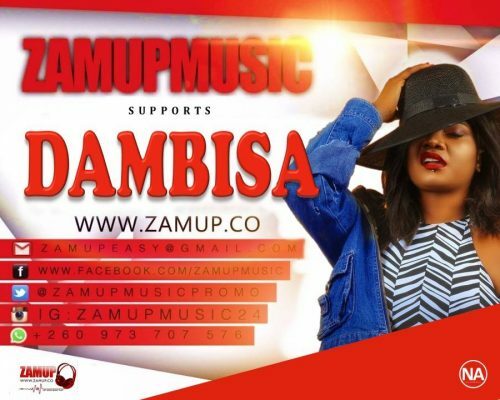 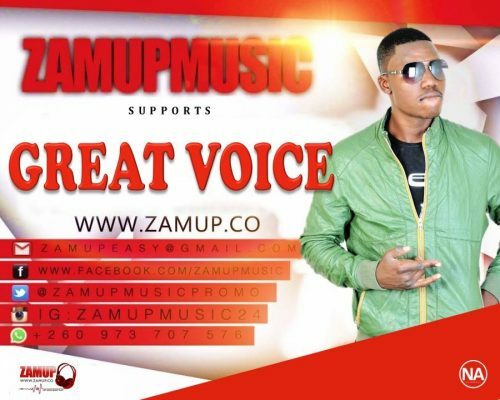 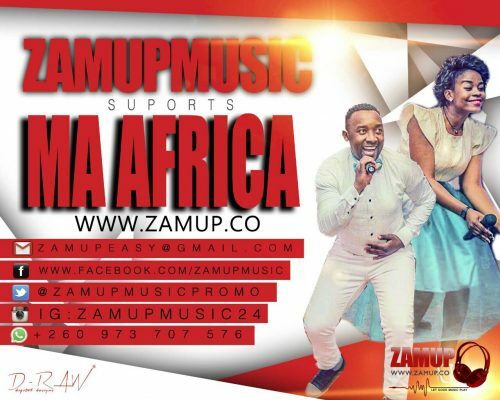 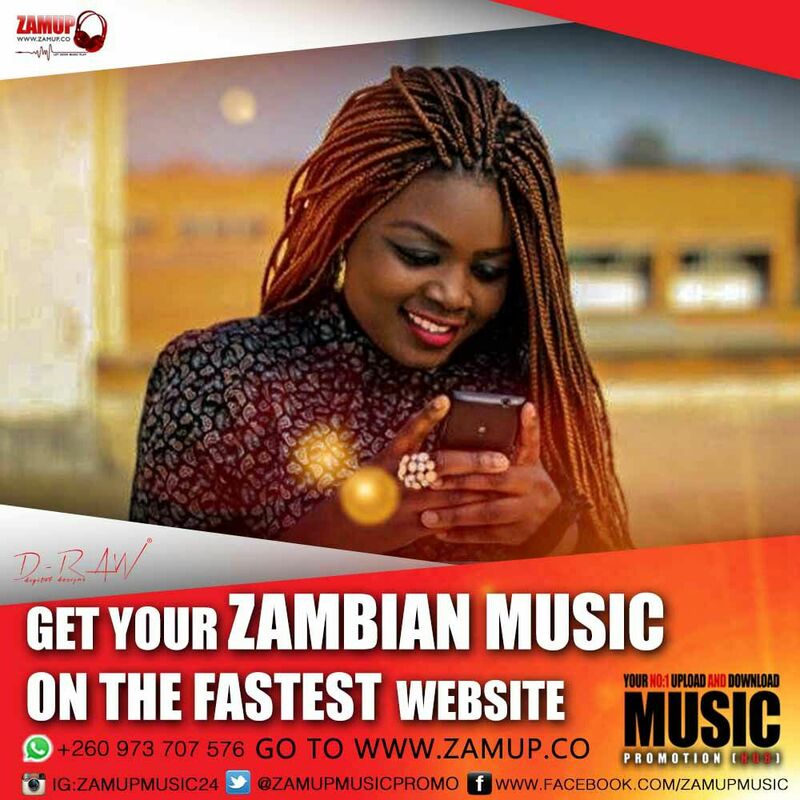 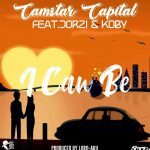 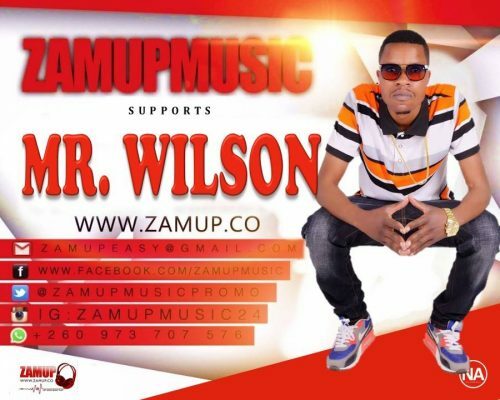 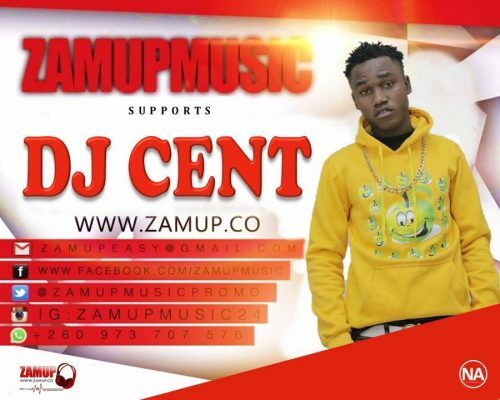 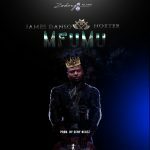 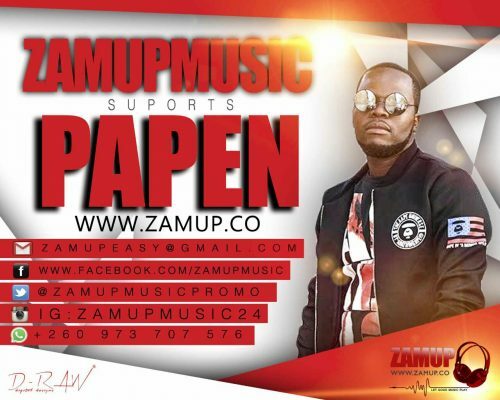 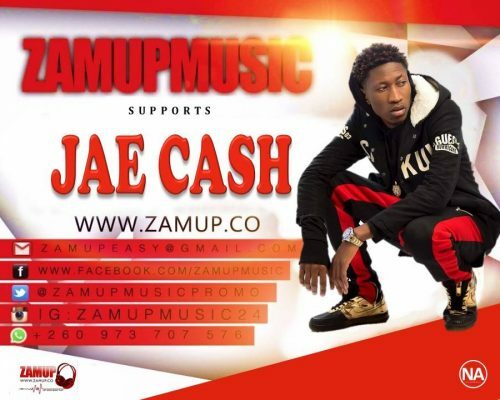 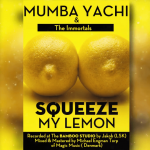 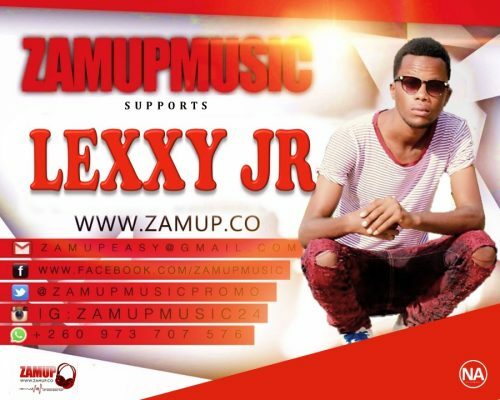 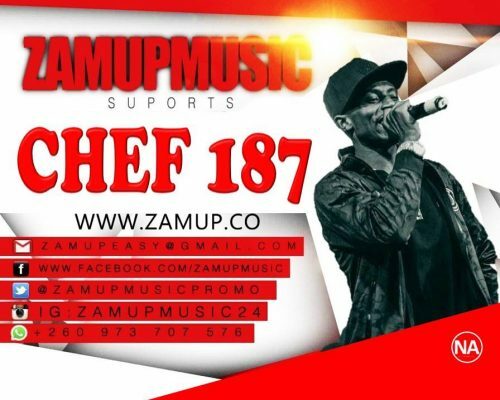 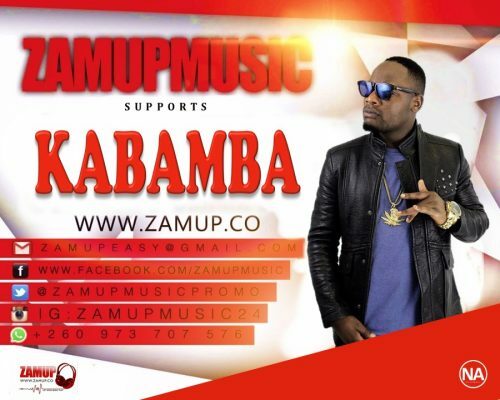 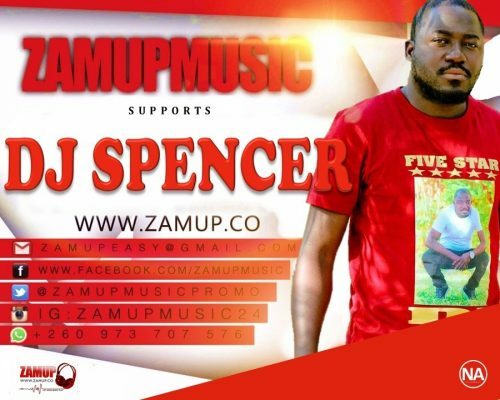 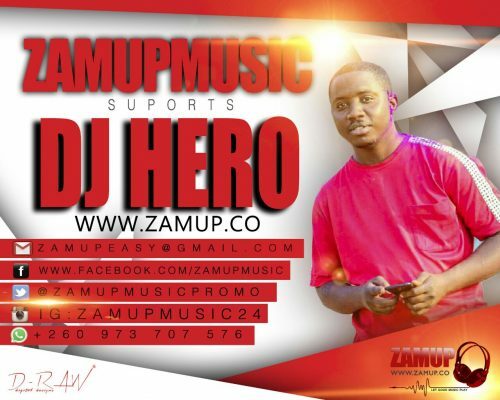 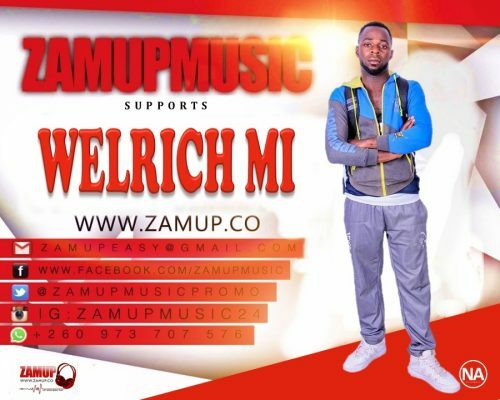 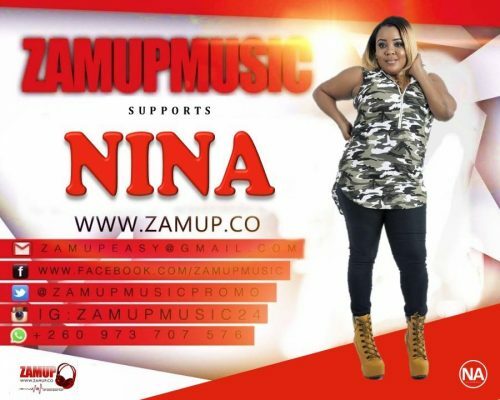 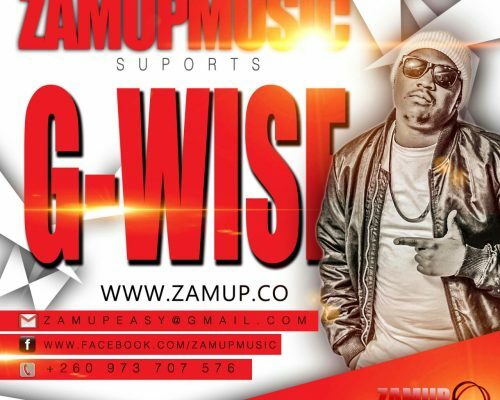 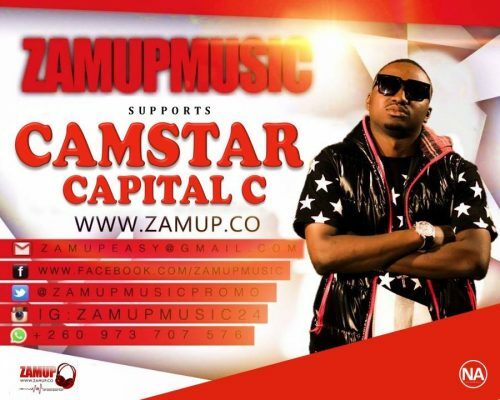 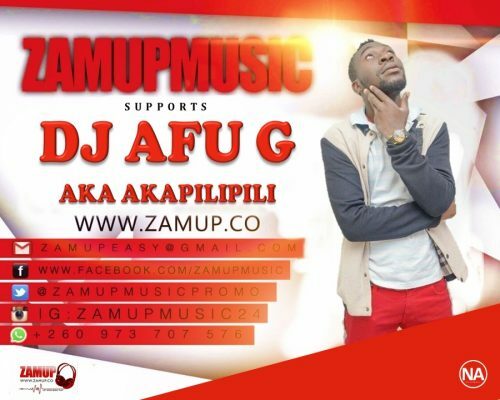 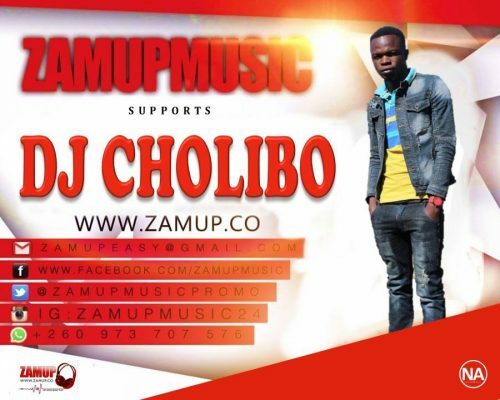 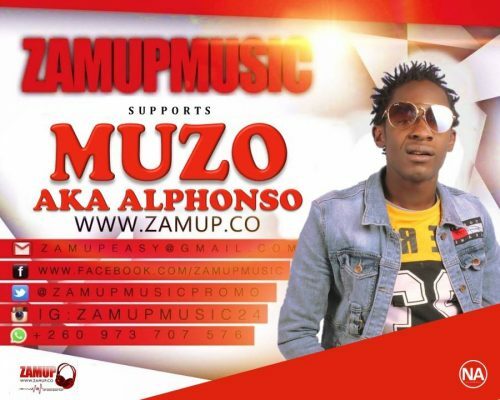 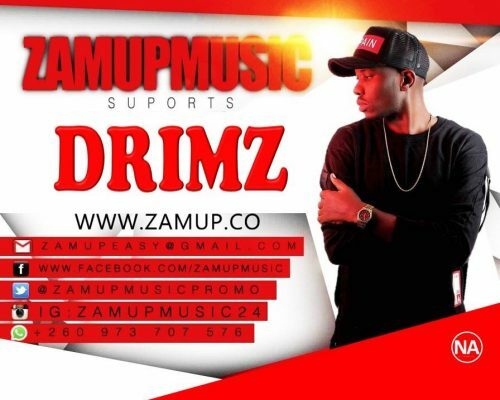 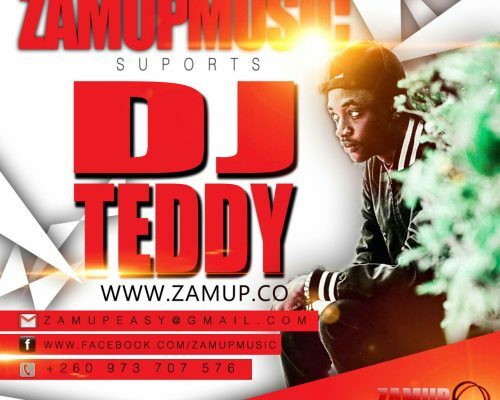 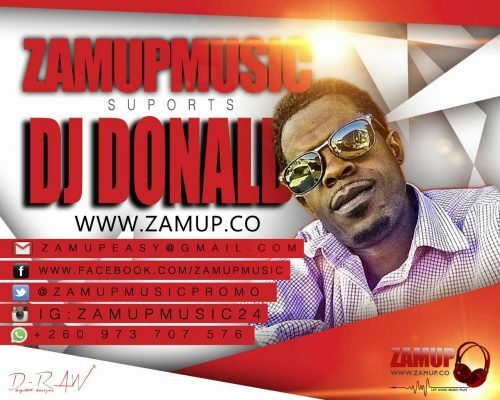 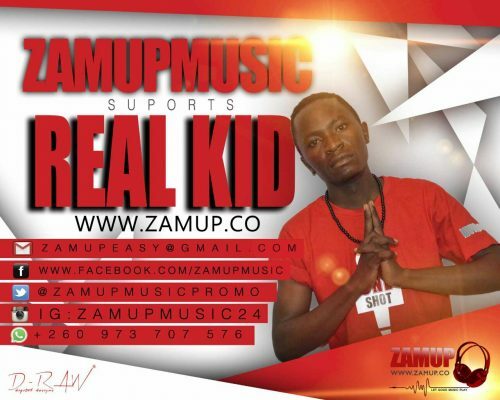 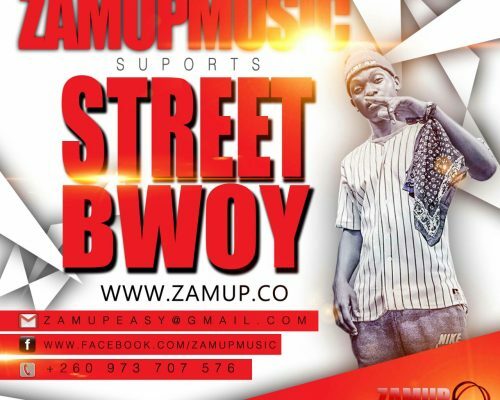 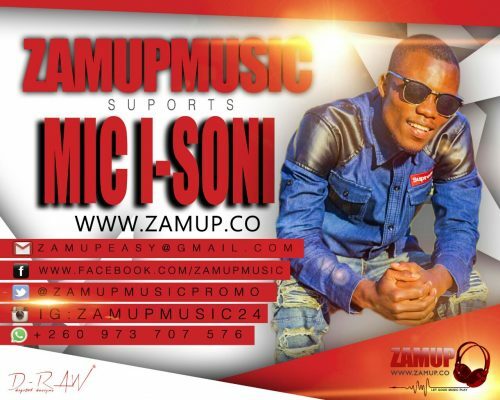 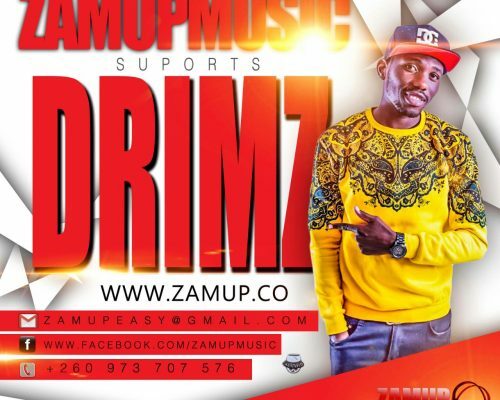 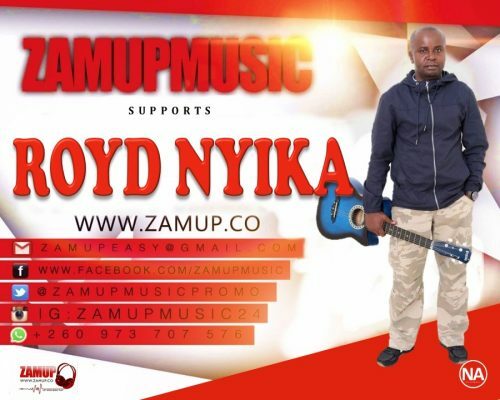 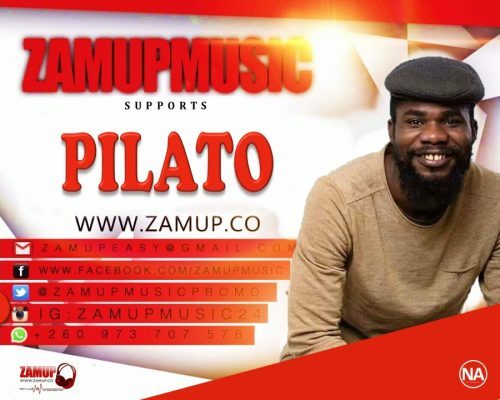 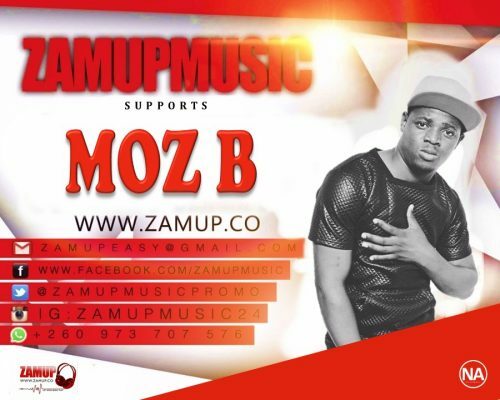 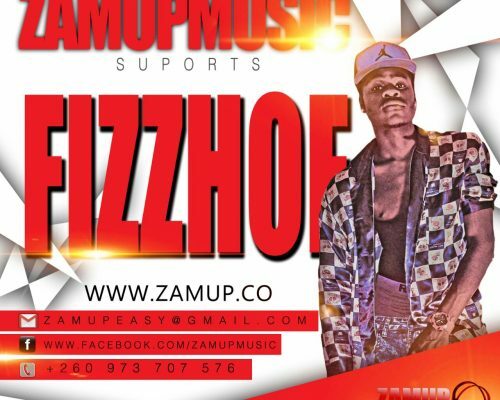 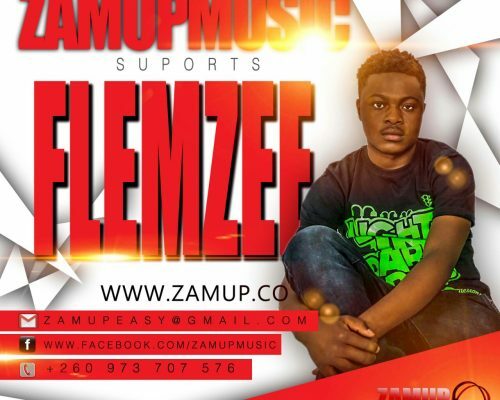 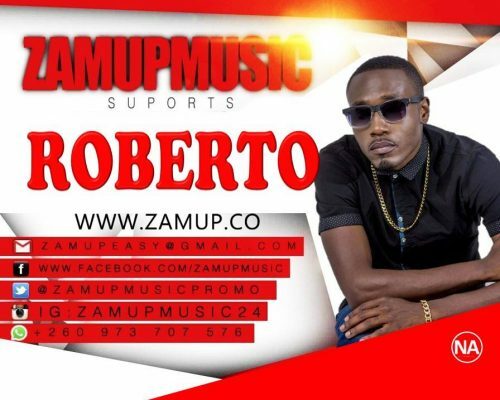 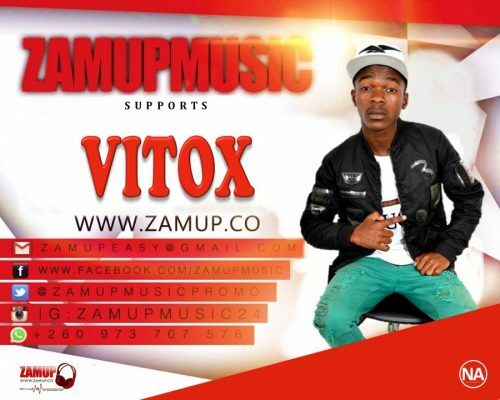 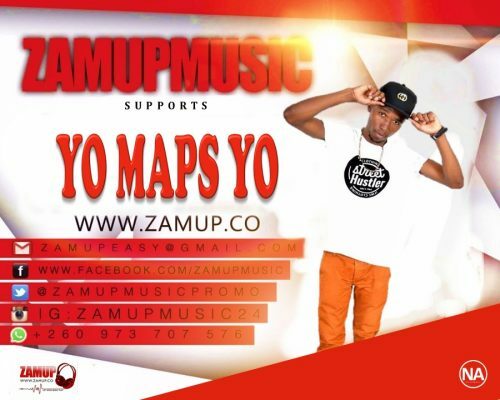 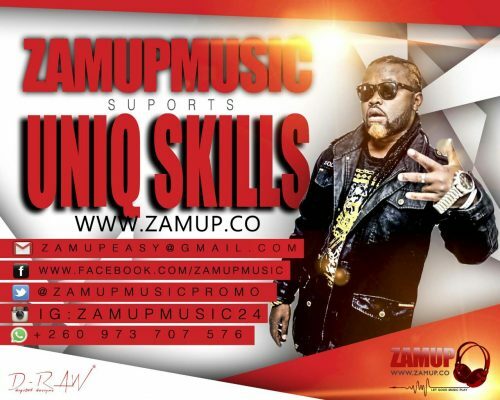 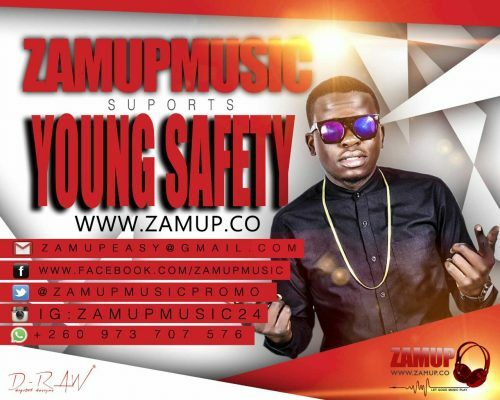 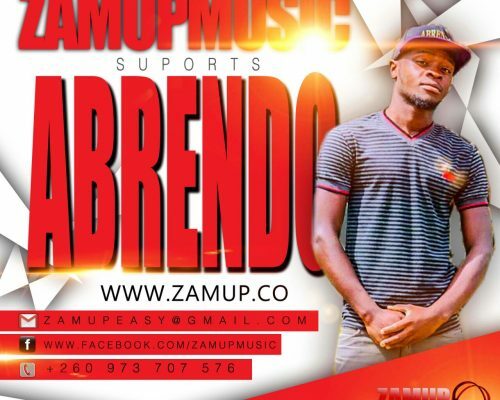 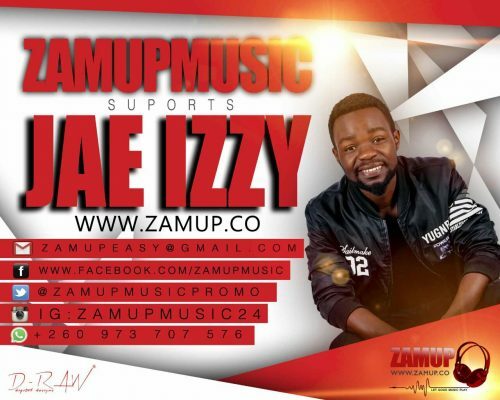 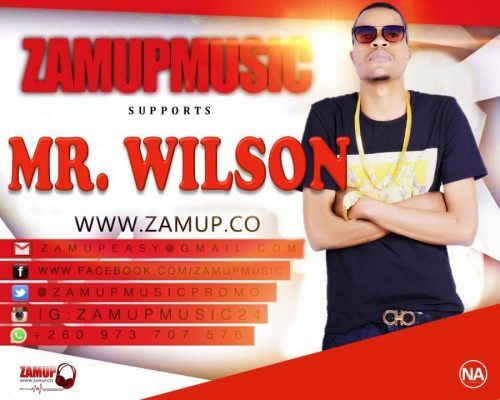 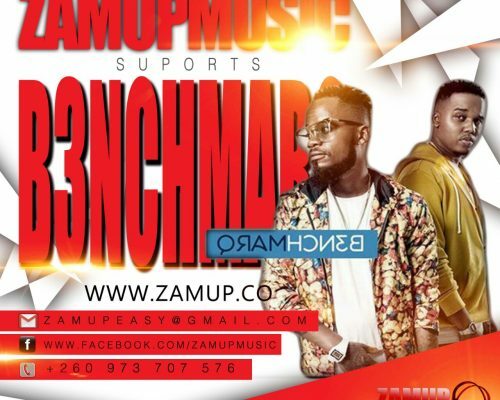 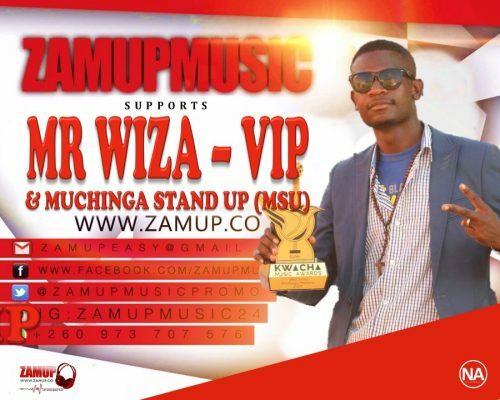 Zambian Hip Hop self proclaimed King “Slapdee” and Afro Pop artist “La’wino” ignited a confrontational argument on Instagram last week, in which Mwila Musonda boasted that he does not just jump anyhow to feature an upcoming arstist. 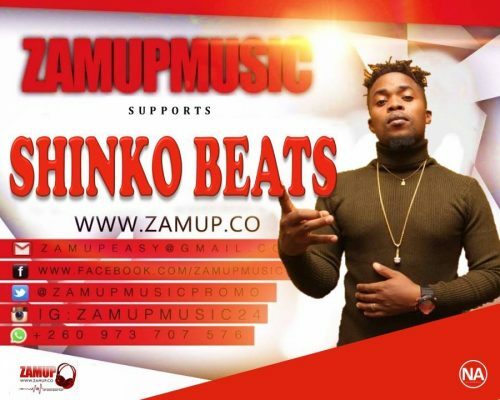 The argument all started when Slapdee posted a picture of himself and captioned it “Sun Is alone but still shines” which provoked “This Lurv ” hit maker La’wino’s attention who put the minimal award winning rapper Slap Musonda into his rightful place, after he was schooled and told off he has failed to lead the industry as a so called King. 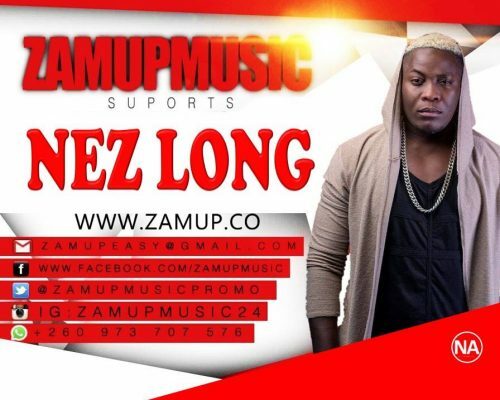 In his comments which seemed to have angered Slap Dee, La’wino argued the sun does not shine alone but also helps out other stars to shine in the galaxy too. 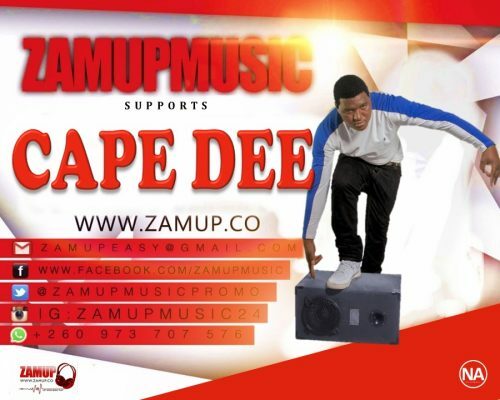 This was a metaphoric way of telling off Slapdee to help out other artists in the game especially upcomers. 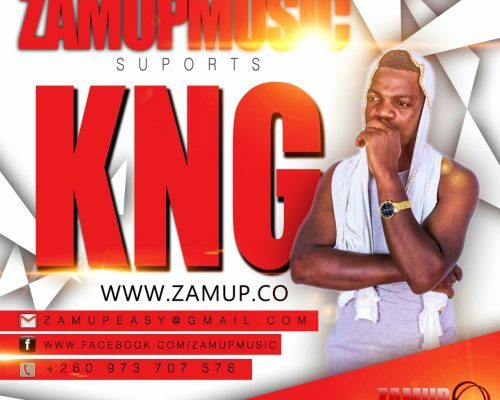 In his other response, La’wino insists that since Slapdee claims to be King, he ought to look after his so called Kingdom. 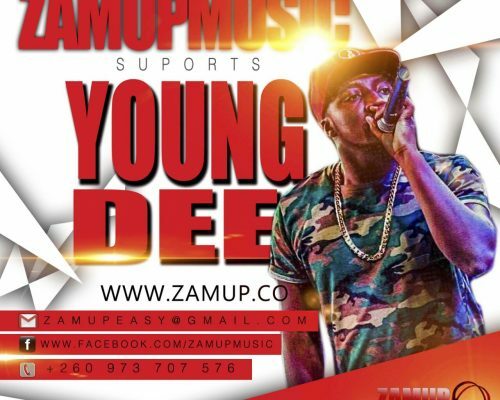 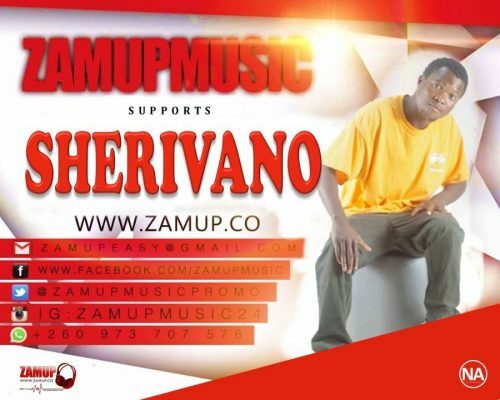 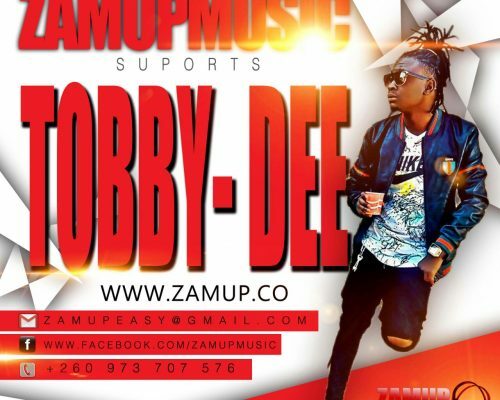 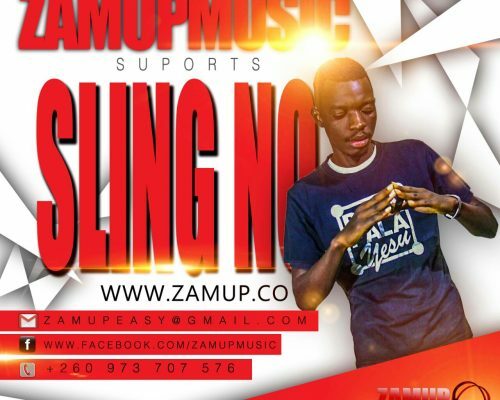 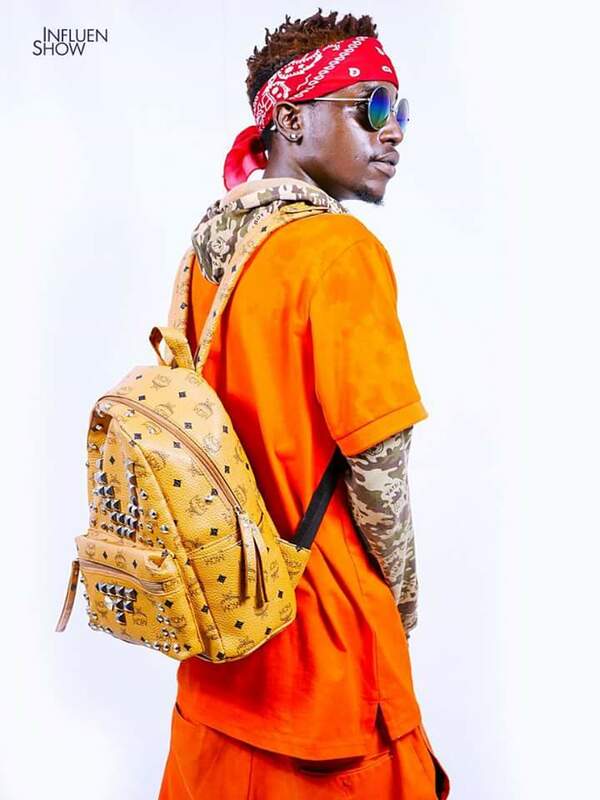 Slap Dee, the nomba ninshi hit maker immediately lost his temper and gave a sarcastic response in a rather polite manner to La’wino that he has been helping artists for a longtime and instead of the uprising star asking for a feature from him indirectly, La’wino should take his energy to the booth. 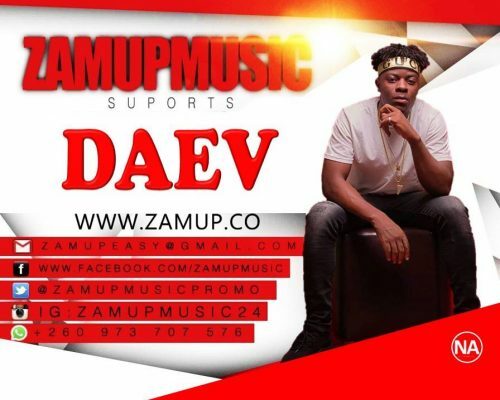 Patoranking and XYZ signee Daev. 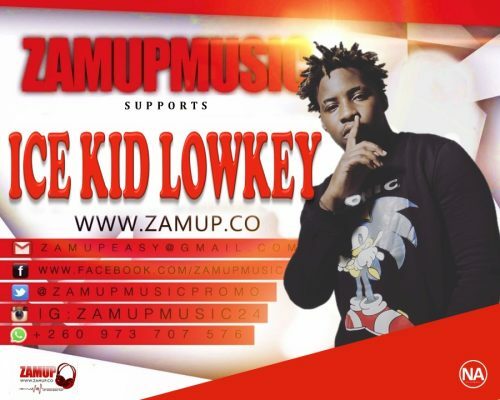 La’wino on the other hand, recently released a track dubbed “Loke Loke” (Higher and Higher ) featuring “ Chef 187 ” and is also sounding radio airwaves. 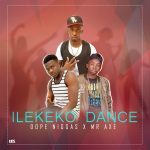 Both songs have media challenges going round with Slapdee spearheading his toothbrush challenge while Lawino with Loke Loke dance challenge. 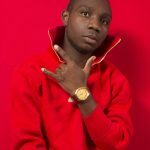 La’wino has penetrated the music industry countrywide and internationally, success mainly attributed to his creative lyrical content. 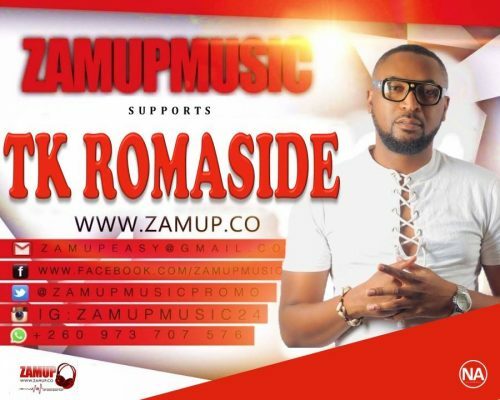 Slapdee and Lawino have done International collaborations, but the upcomer and zed music rich kid alias black billionaire may just dominate after shooting the Loke Loke music video in 6 different countries before the close of the year. 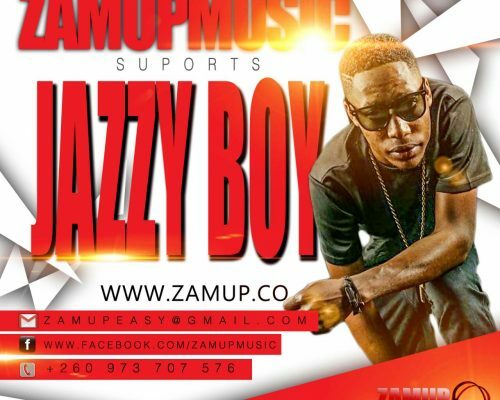 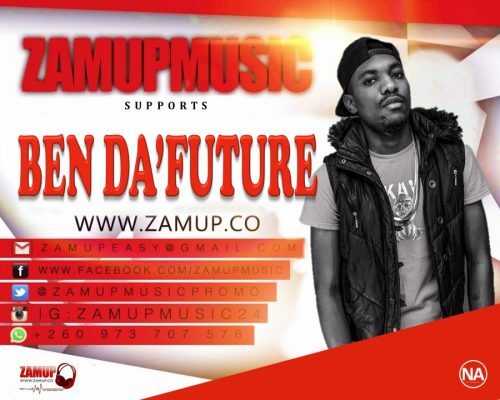 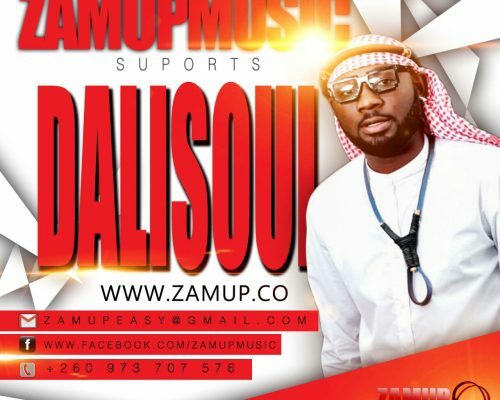 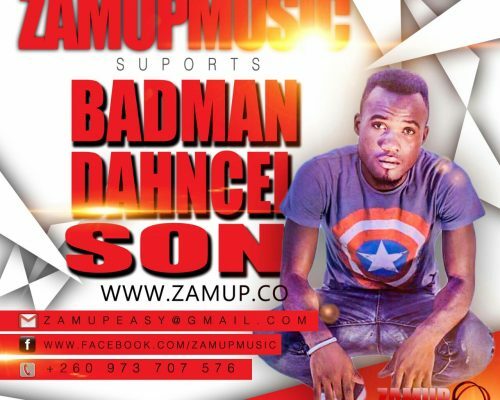 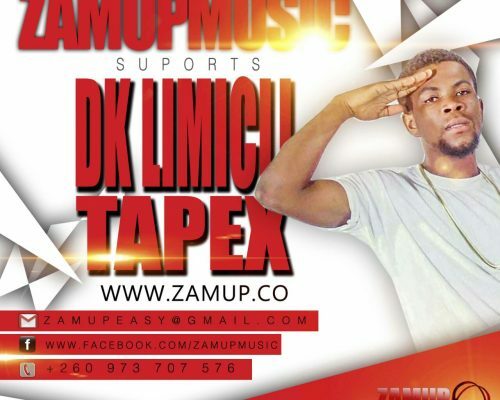 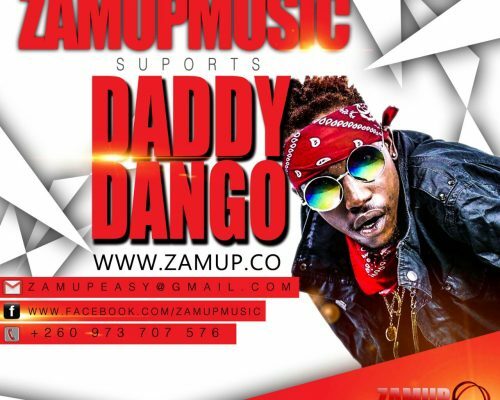 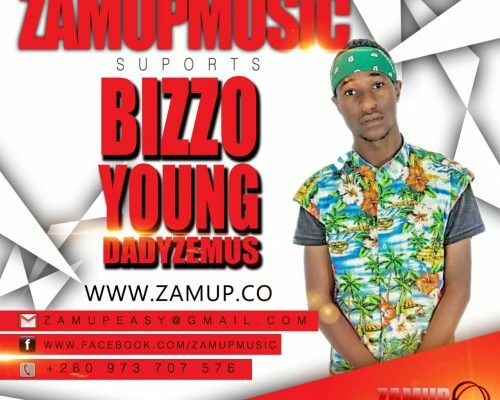 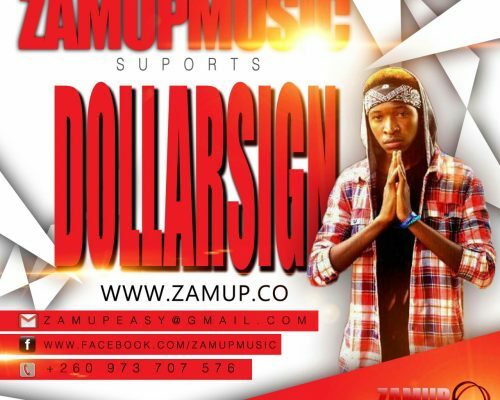 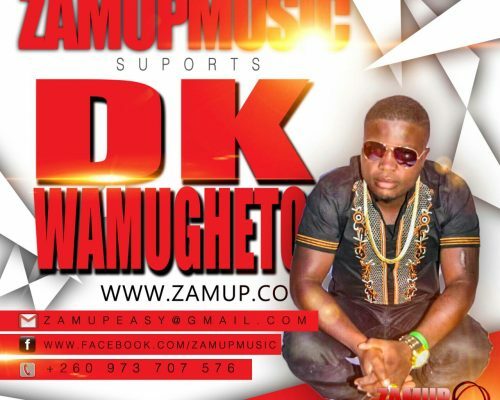 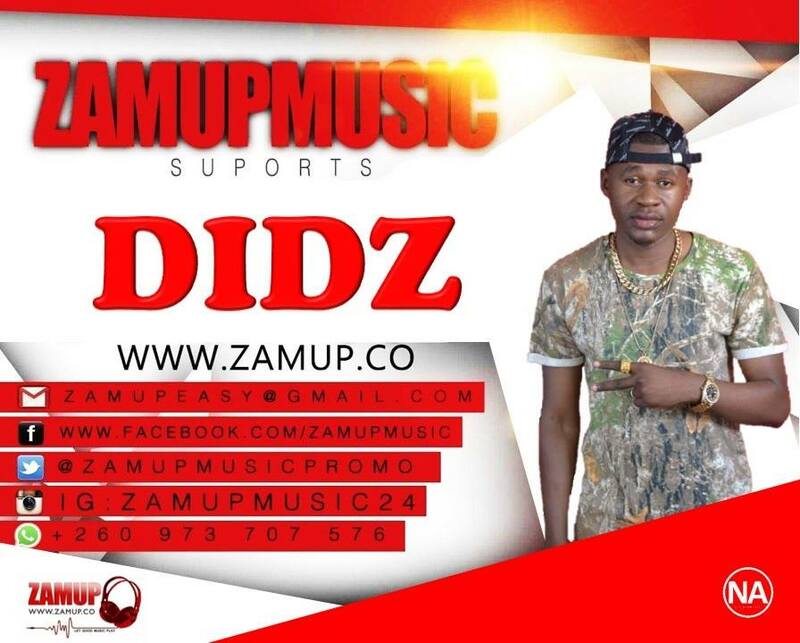 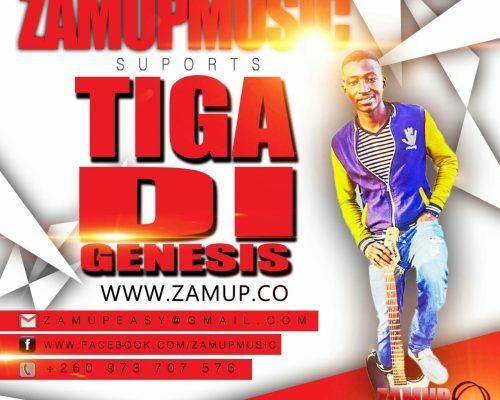 Lusaka based Hip-hop artist Daddy Dango says he thinks the only reason why zambian music isn’t growing to our expectations is because producers act like bali ku period. 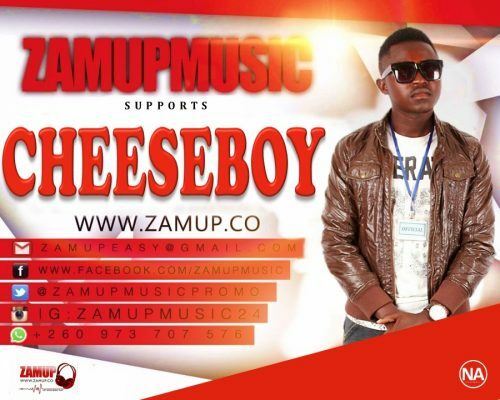 The day they will finish attending there periods is the day zambian music will grow. 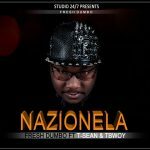 They would rather release a song that they think will not go anywhere and keep the hit after that they expect as to remove them from the ghetto to kablonga like we promised them. 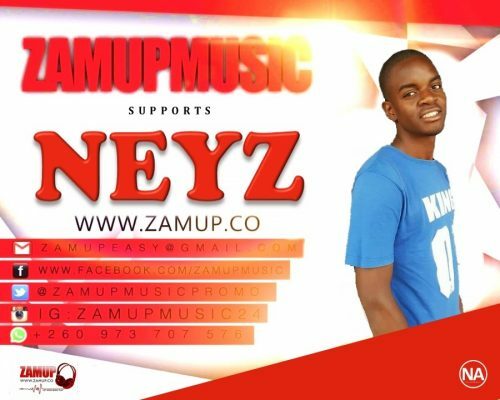 Producers should stop attending there periods for zed music. 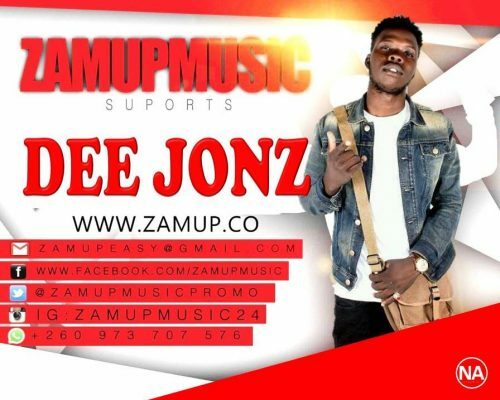 With rise of price in many commodities and consumable needs, we wish to make mention and inform all promoters, agents, venue owners, corporate world, marketing agencies, media houses and event managers that the artist hiring fee has been increased with immediate effect. 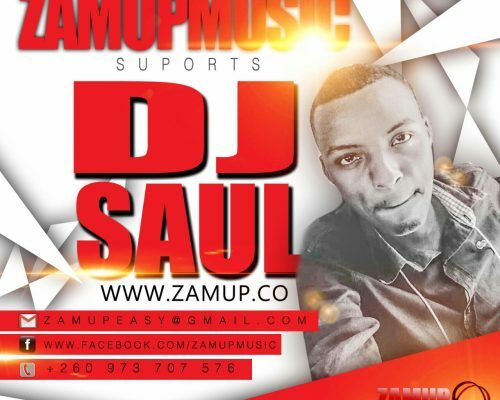 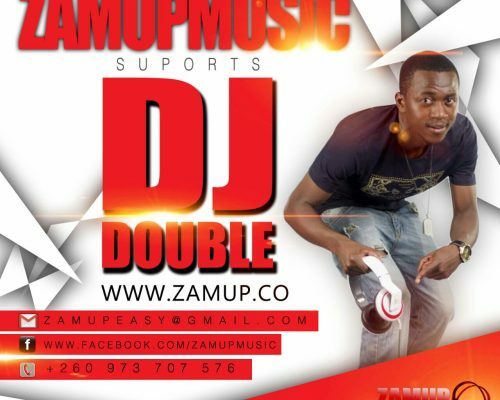 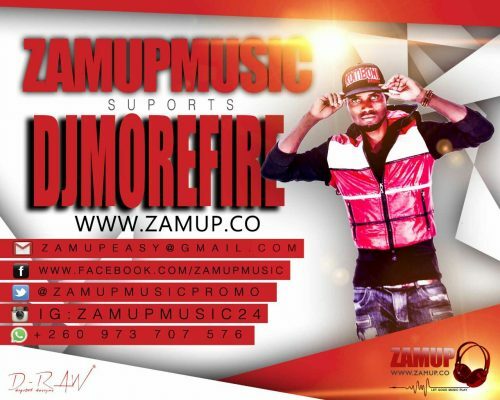 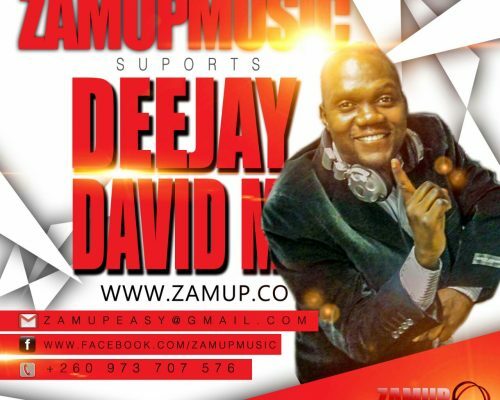 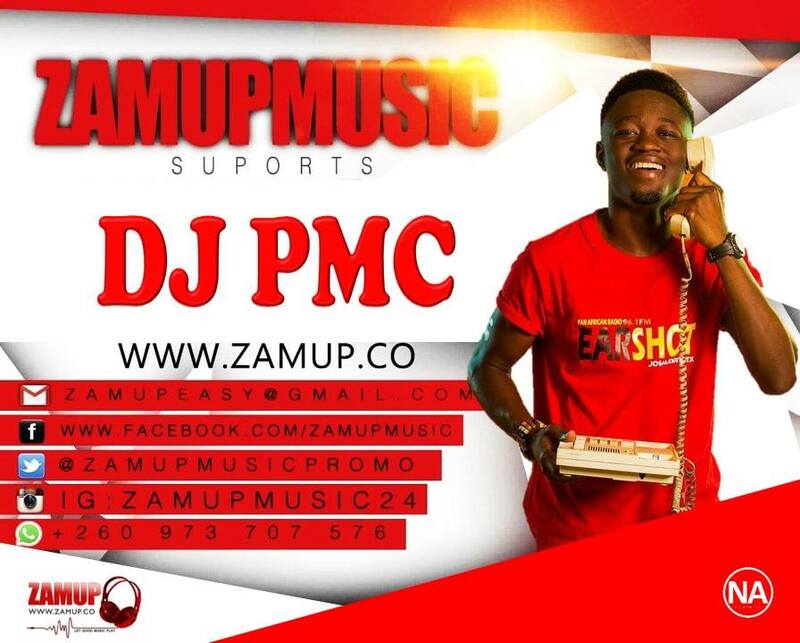 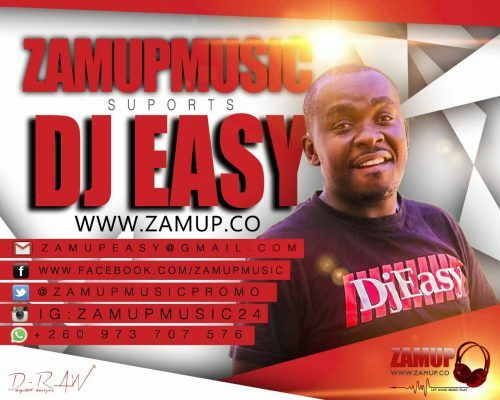 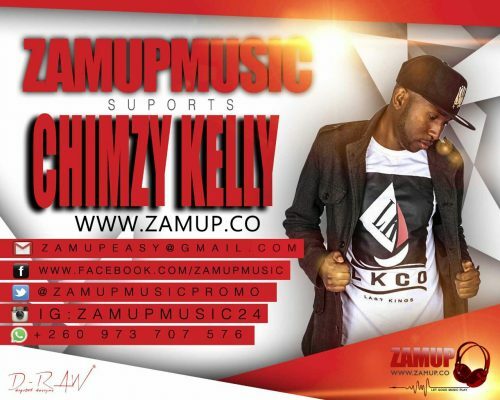 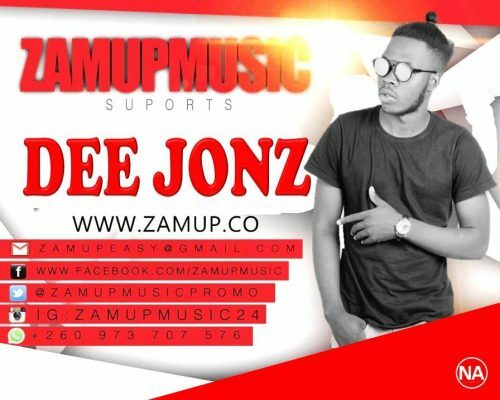 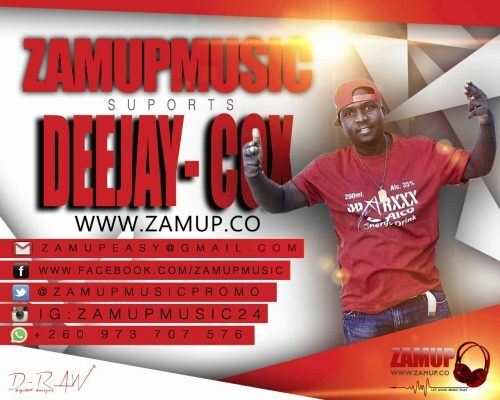 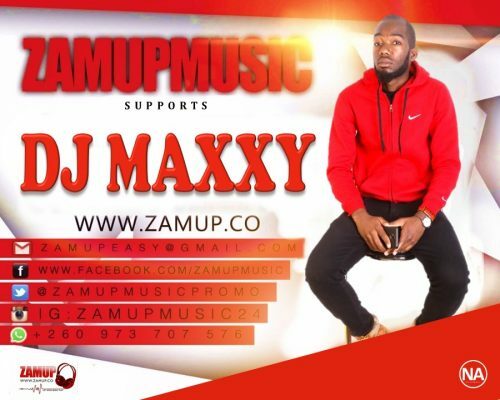 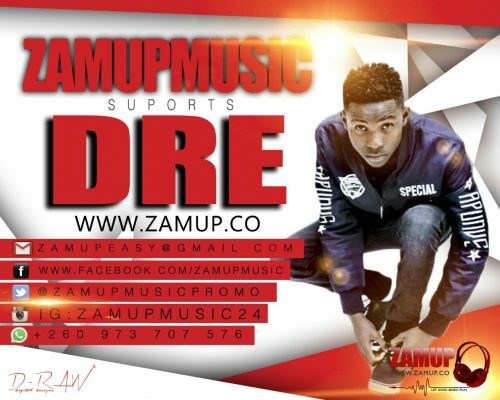 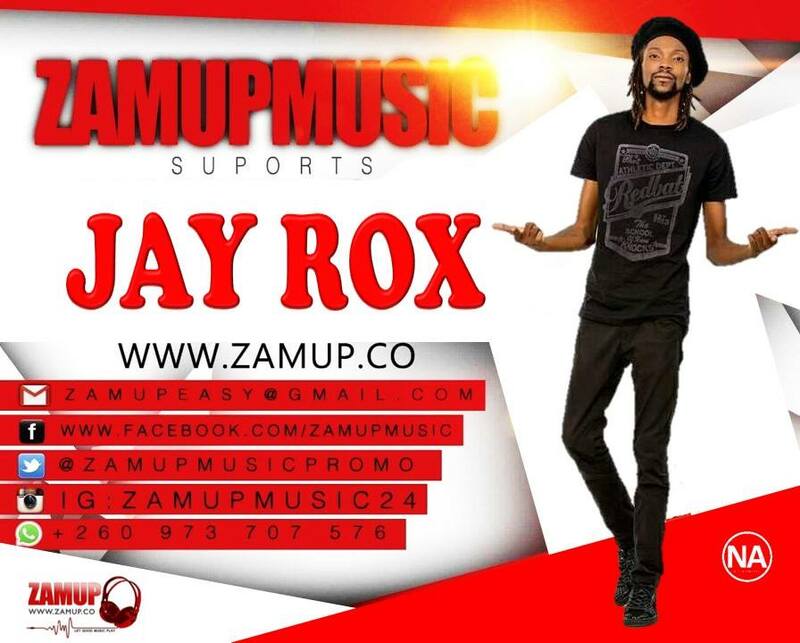 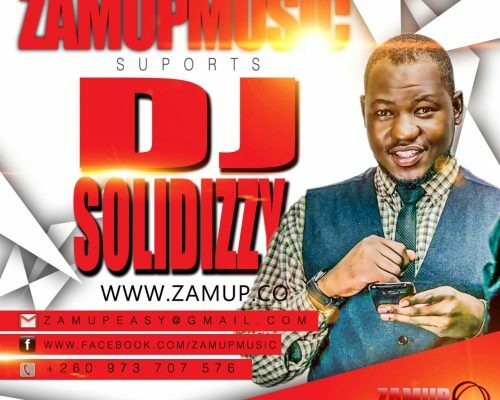 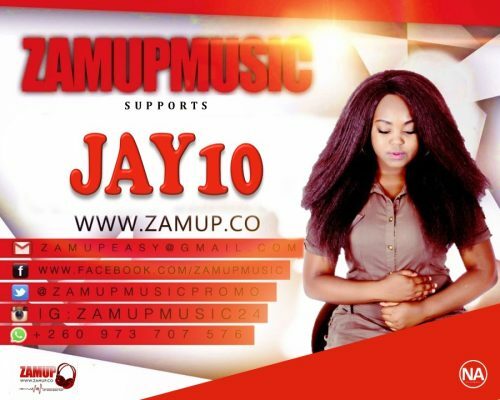 Please take note that from now onwards if you wish to hire me or any other Zambian artist, musician, club deejay or singers and models you shall be charged according to the new revised fees per artist/peformer respectively. 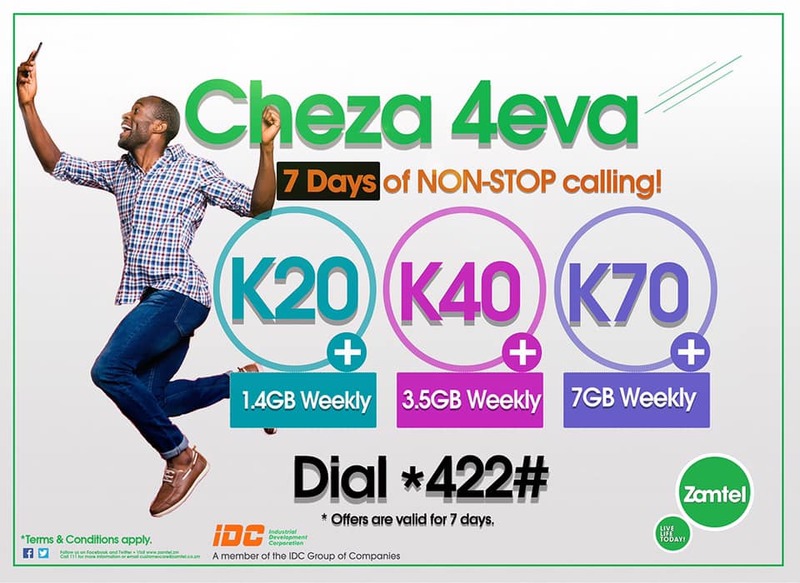 Forget about the previous deal and performance charge. 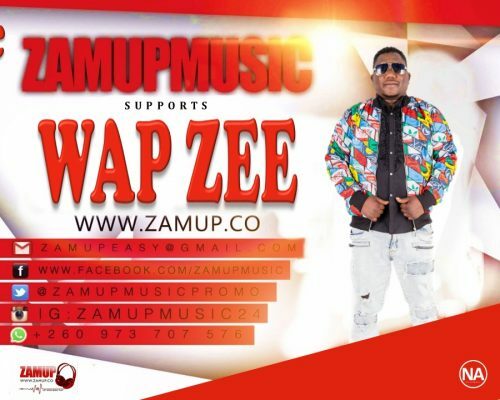 Support Zed arts. 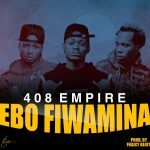 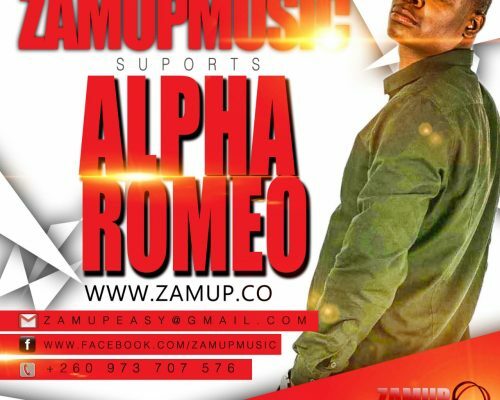 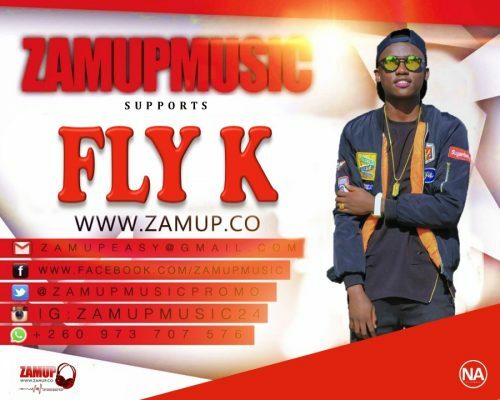 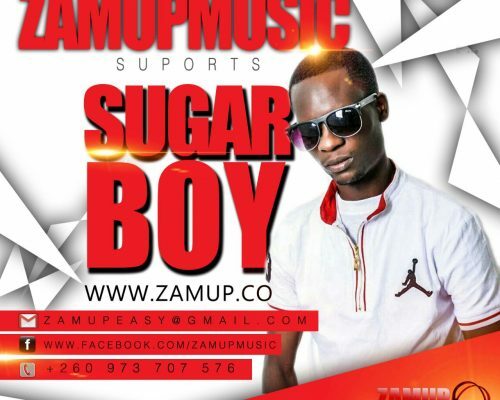 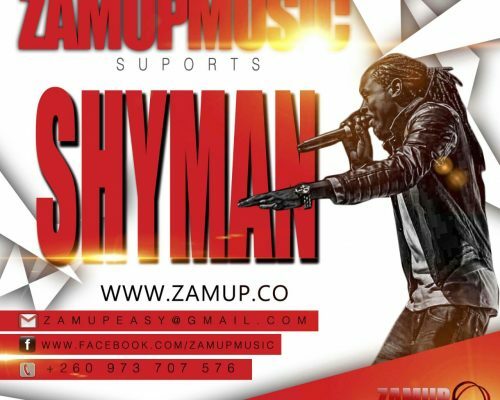 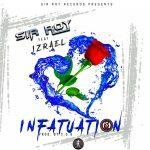 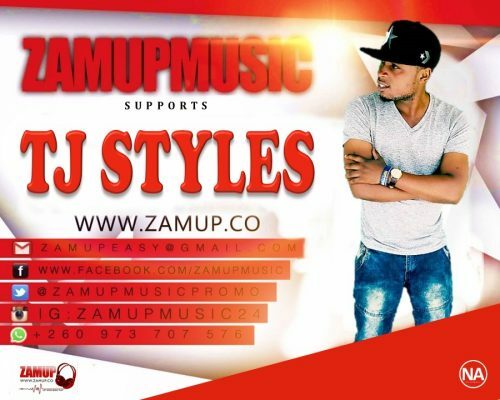 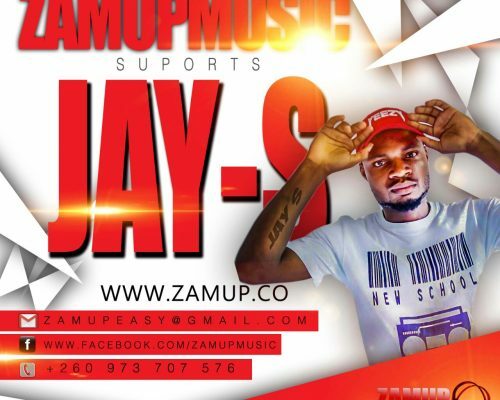 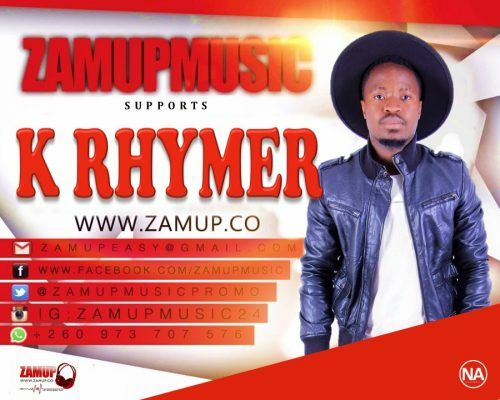 Sky Empire the music duo comprising of brothers ICE Flow Slim Daddy and & Tripo D are been Managed by one of the Zambian Radio Dj/ Music Promoter Andrew Phiri (Dj Easy umu Zambian). 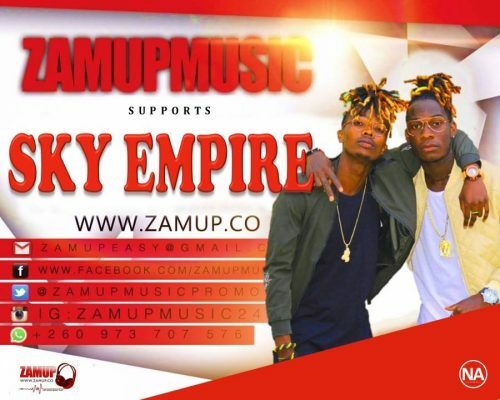 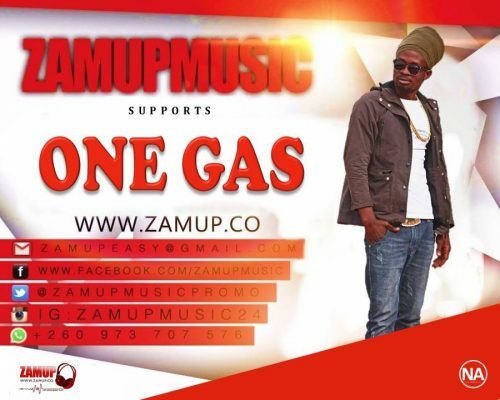 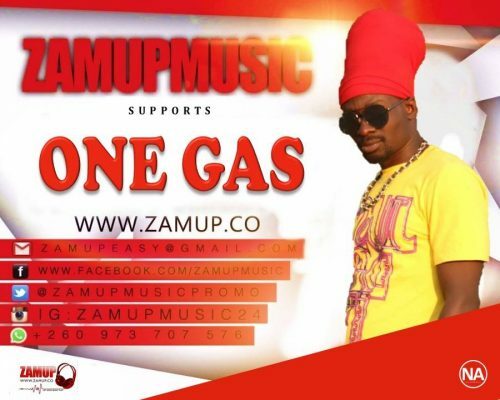 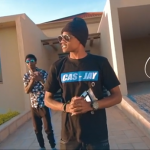 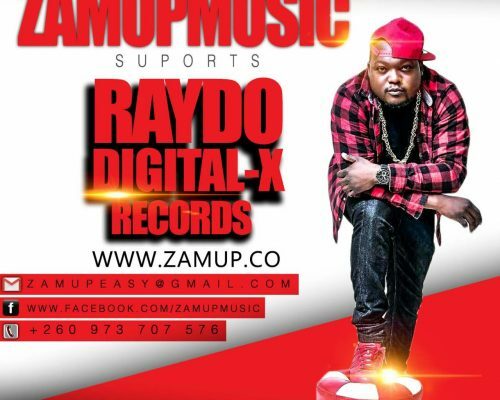 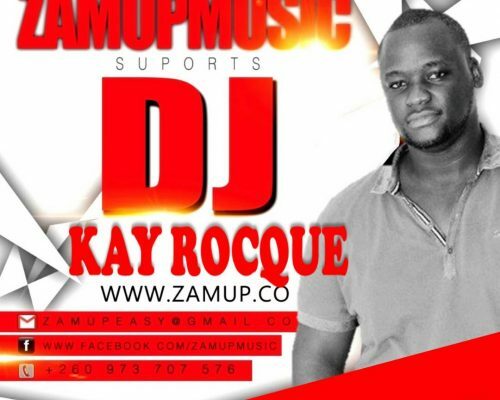 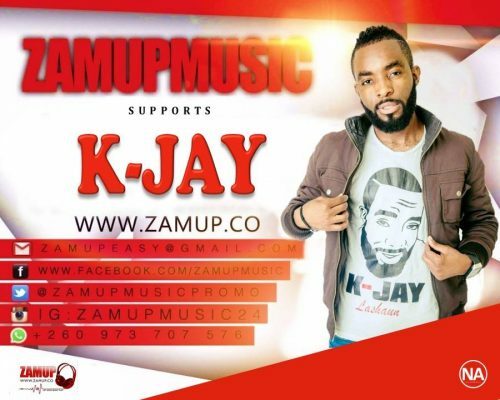 Sky Empire behind the controversial song ‘Katundu not very big’ have publicly apologized. 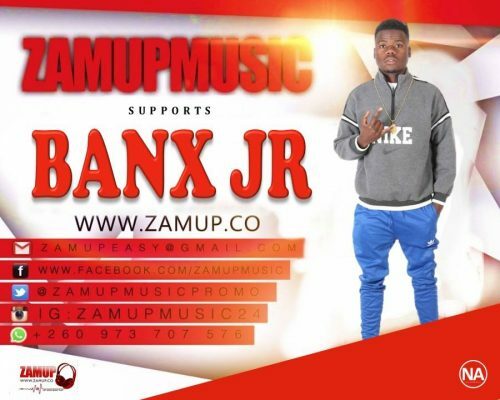 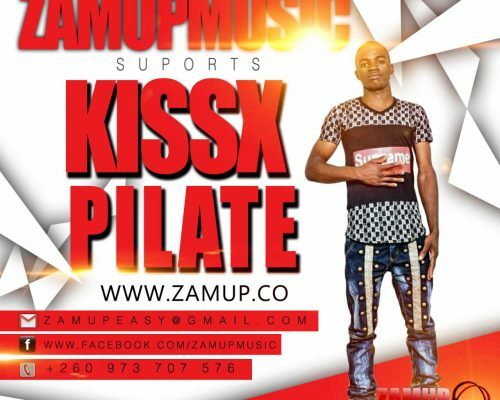 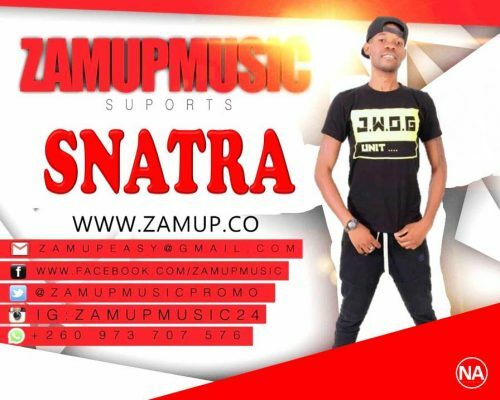 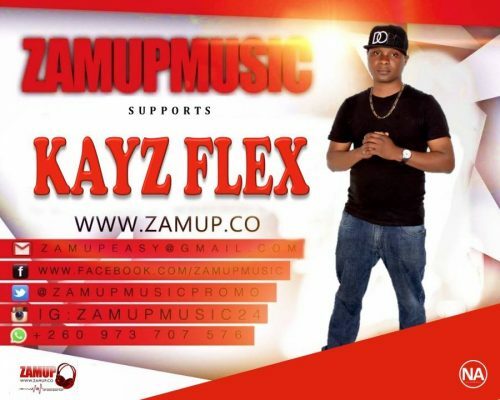 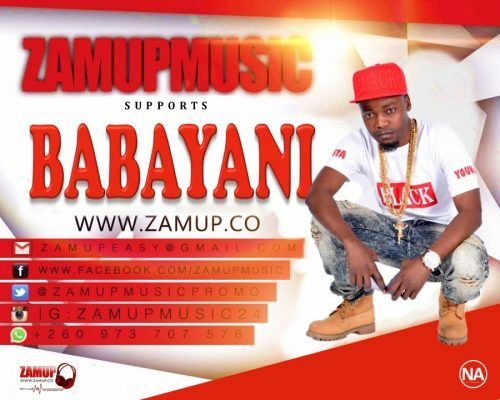 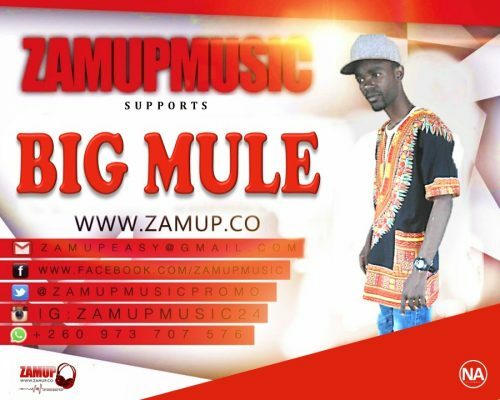 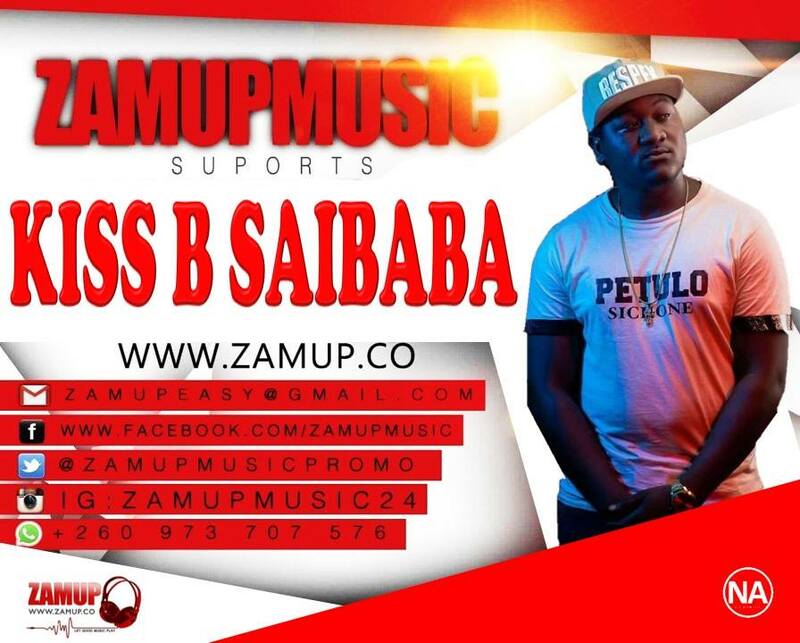 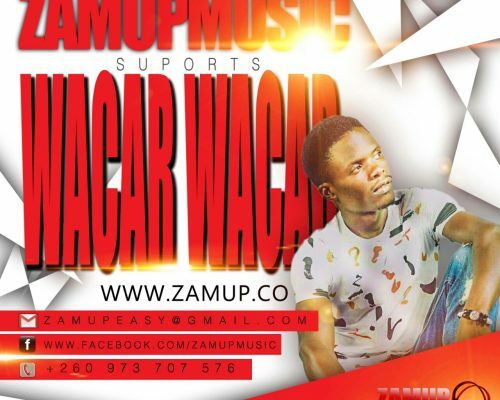 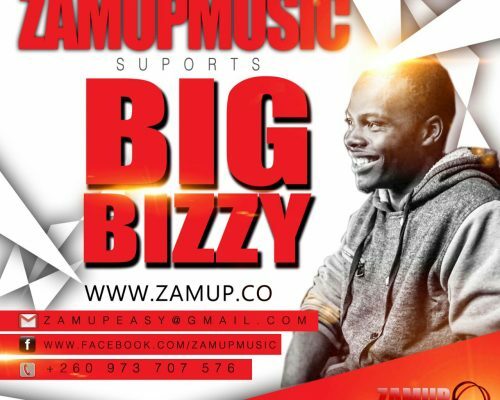 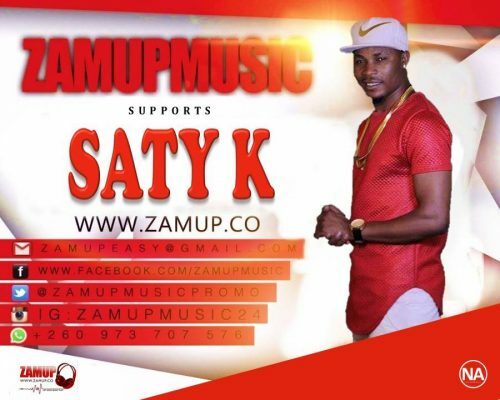 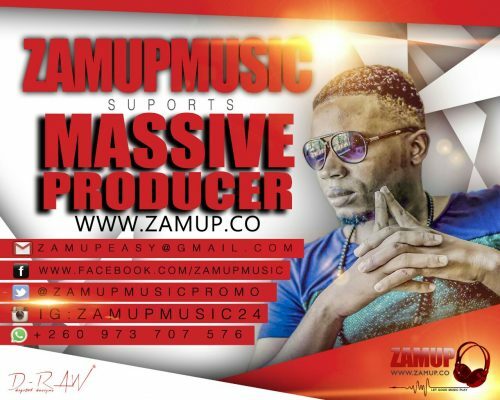 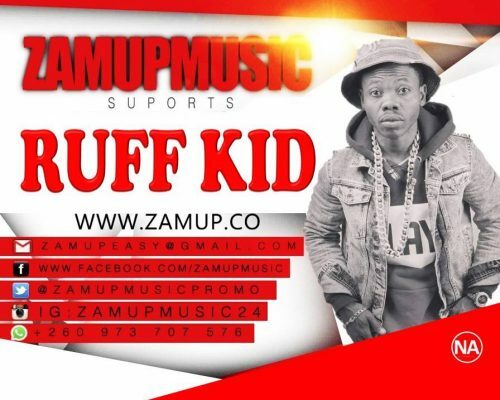 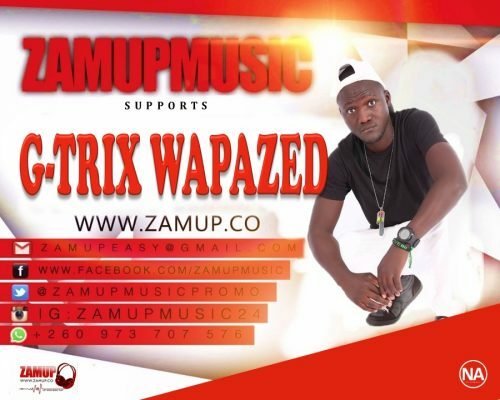 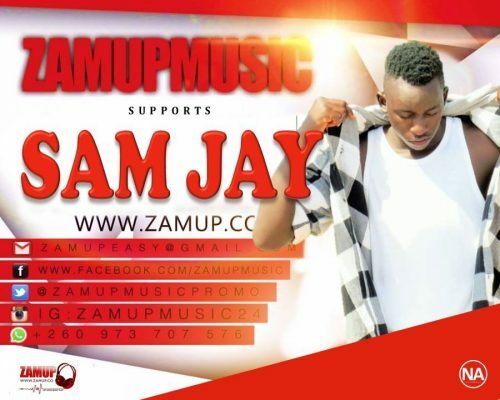 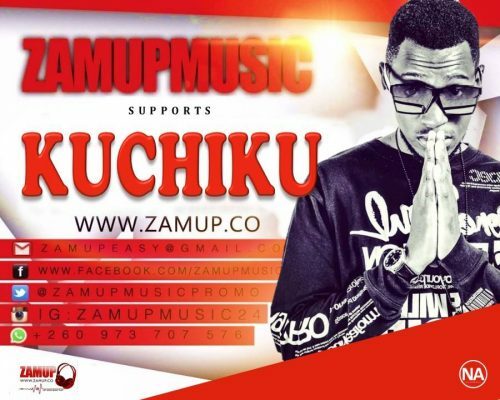 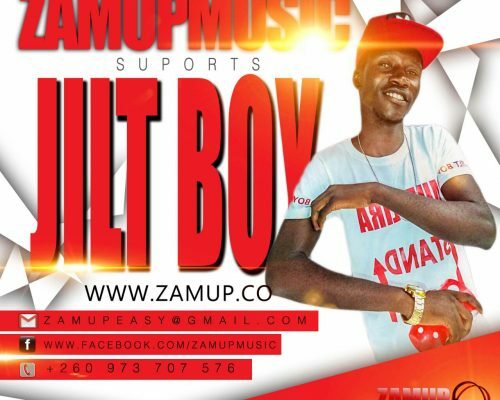 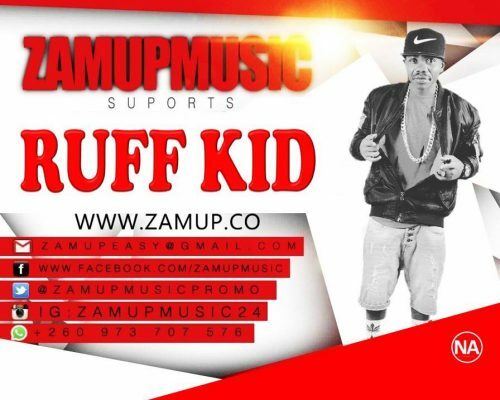 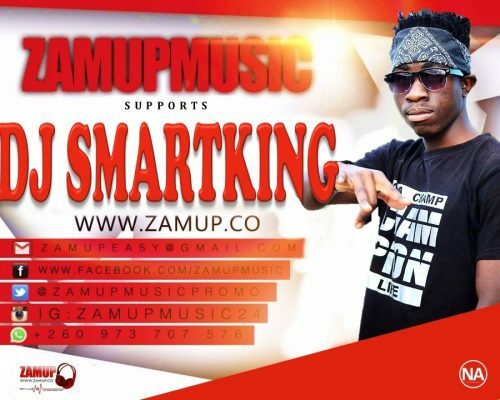 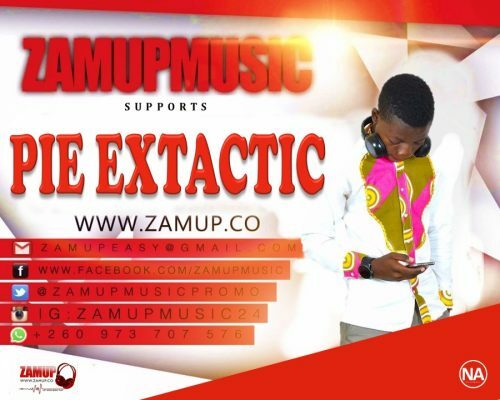 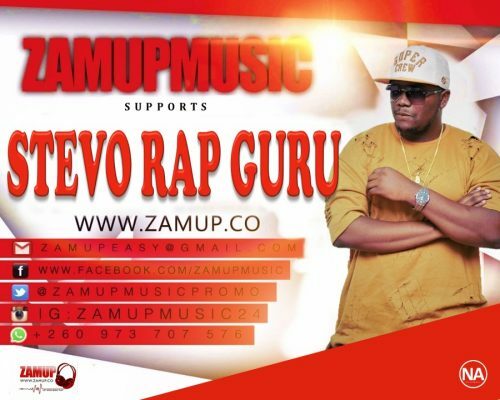 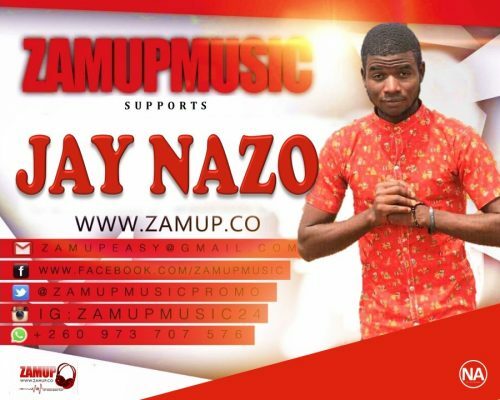 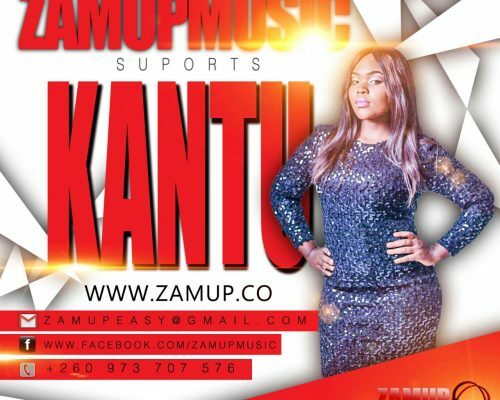 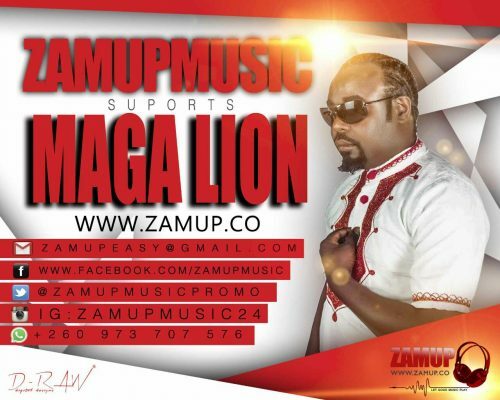 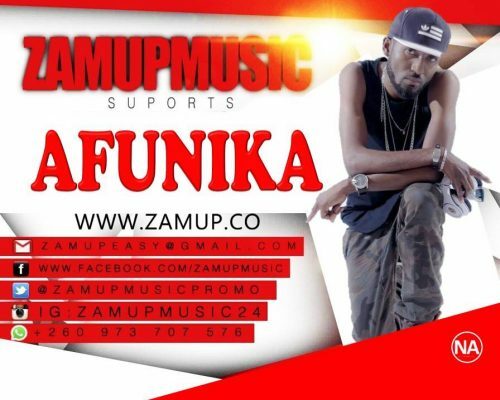 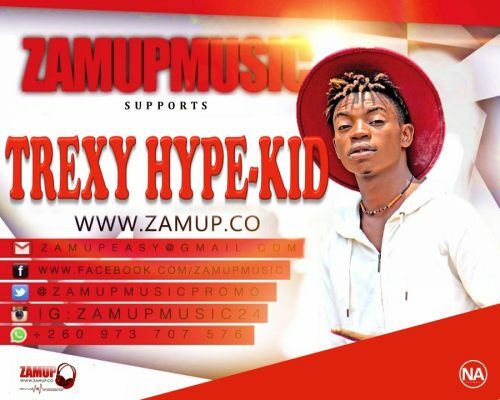 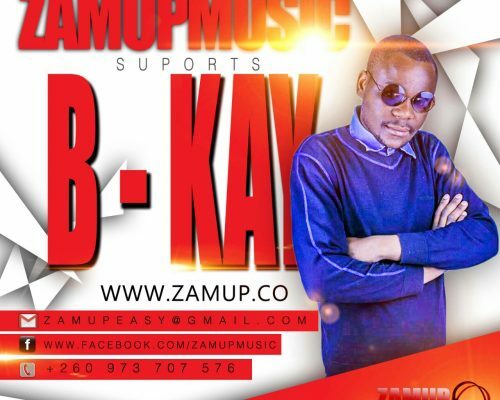 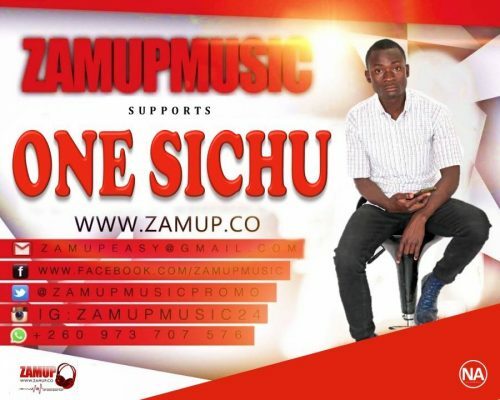 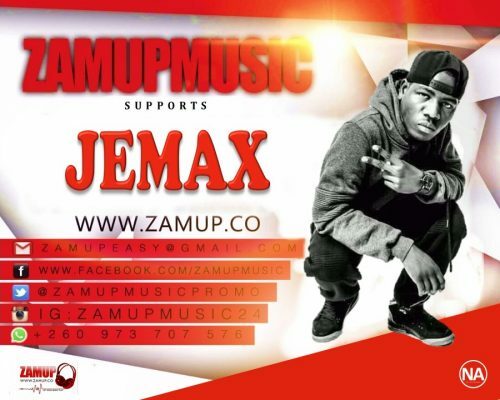 On 8th September, ZAM President Tivo Shikapwashacalled on all media houses and online blogs to ban the song ‘KATUNDU NOT VERY BIG’ Produced by BX Exclusive. 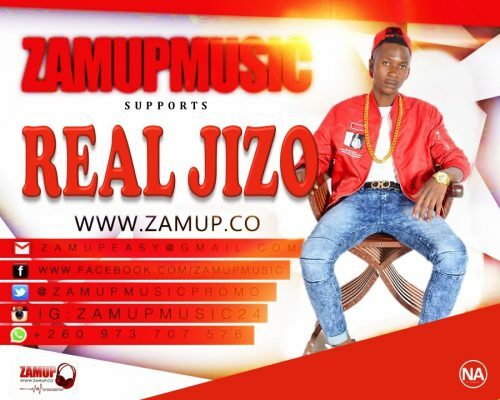 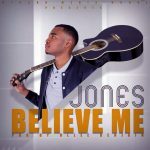 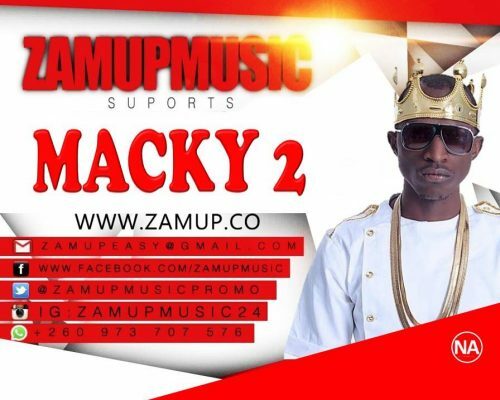 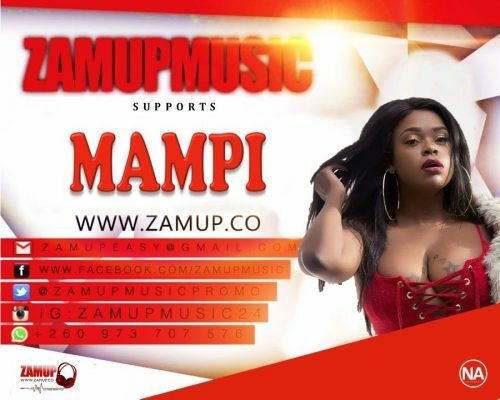 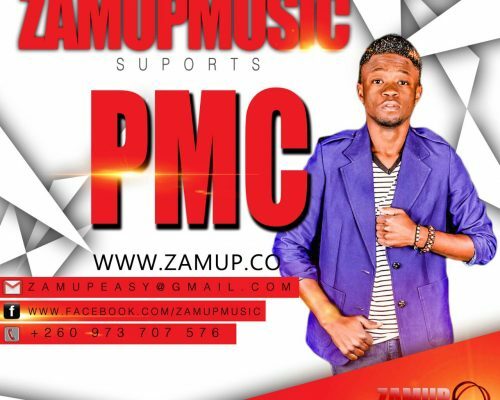 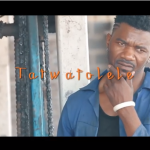 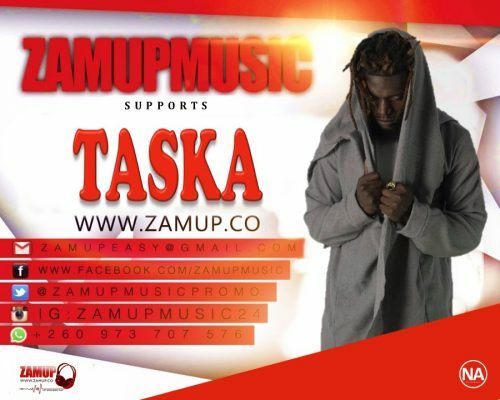 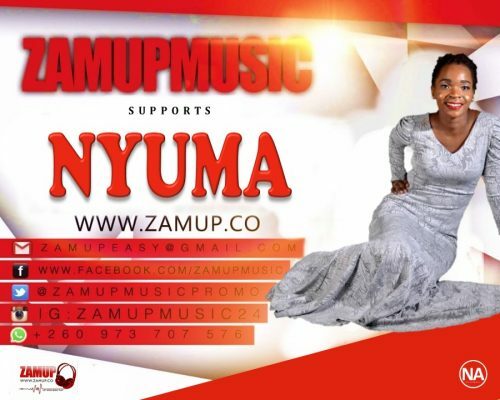 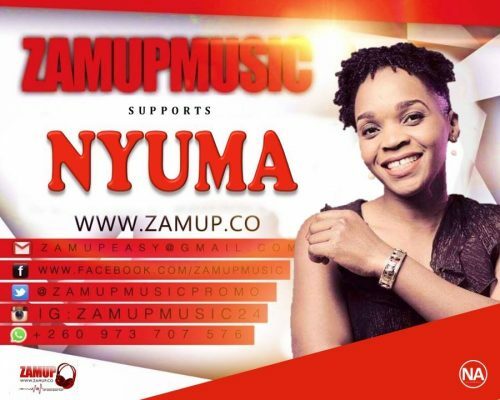 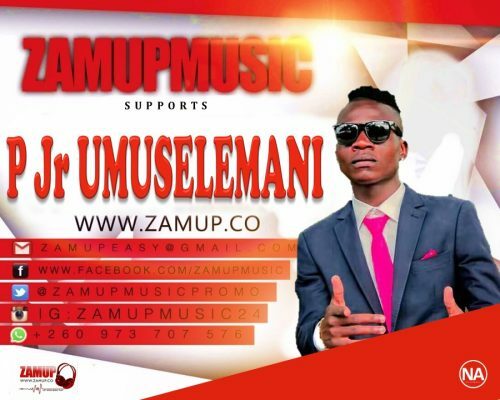 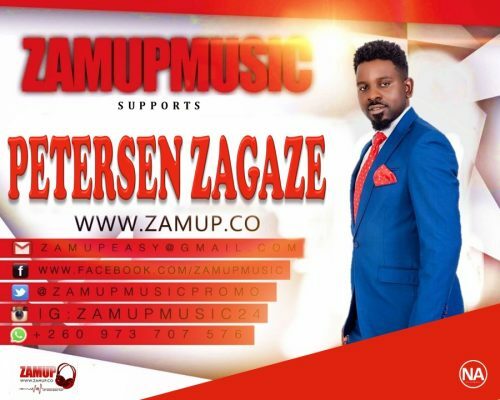 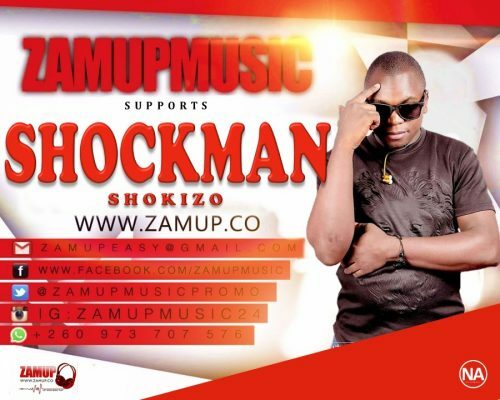 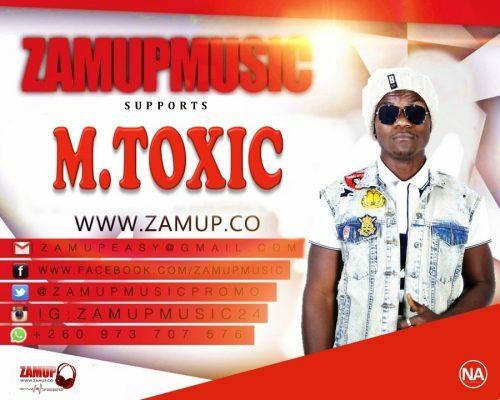 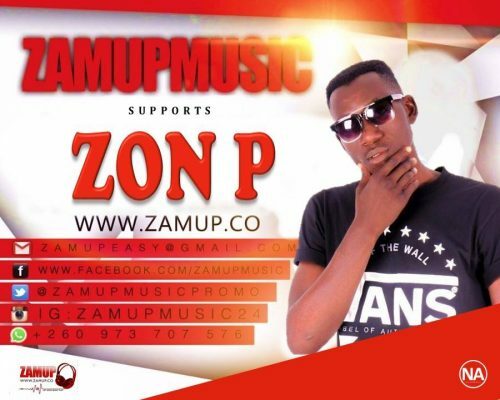 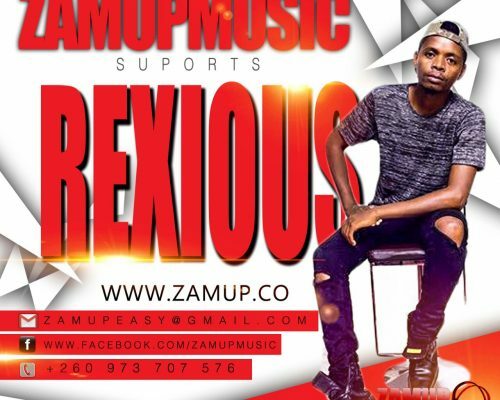 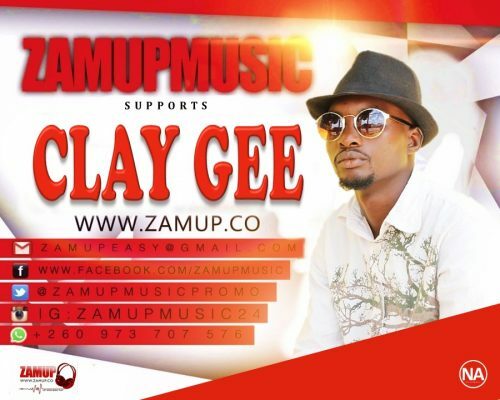 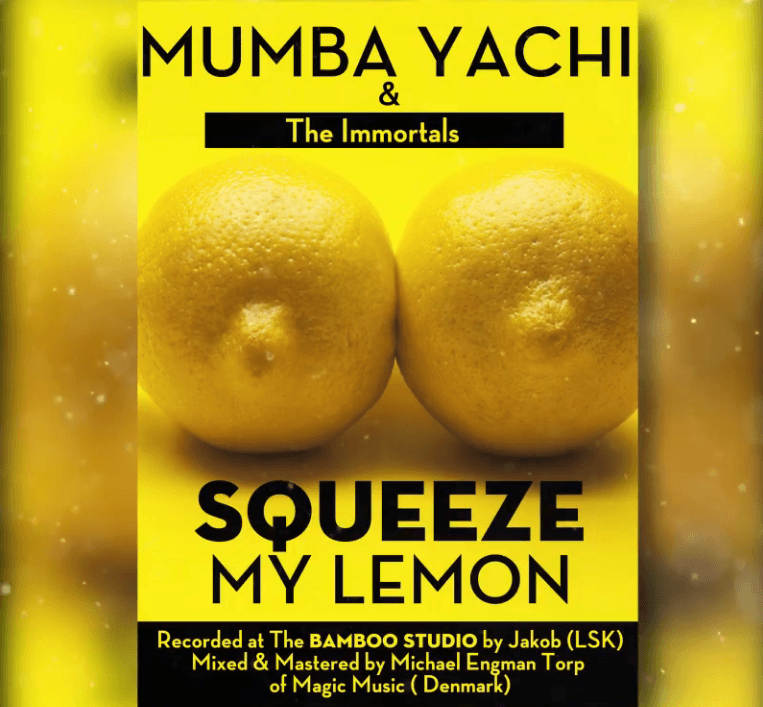 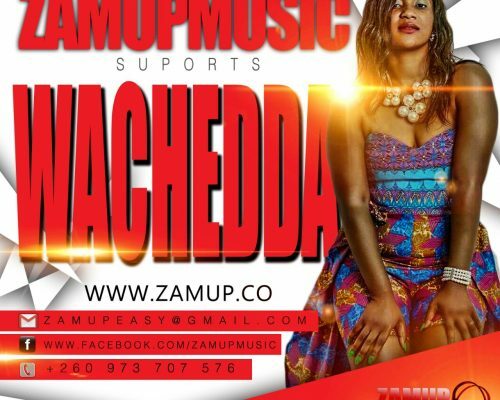 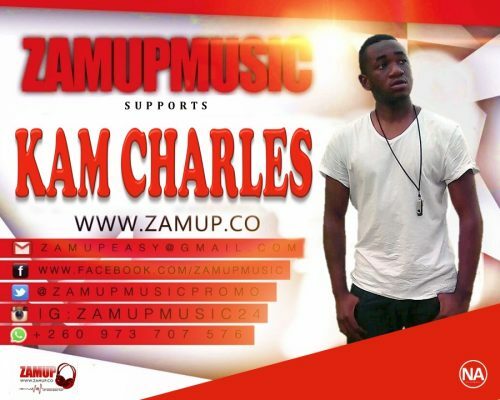 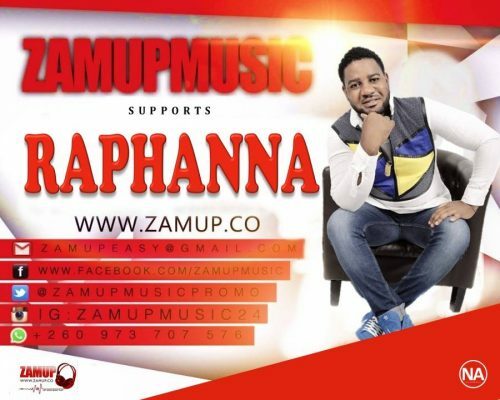 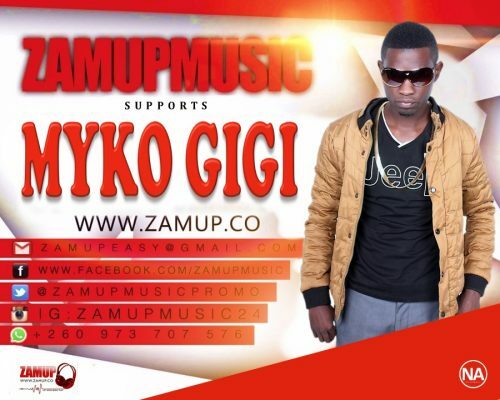 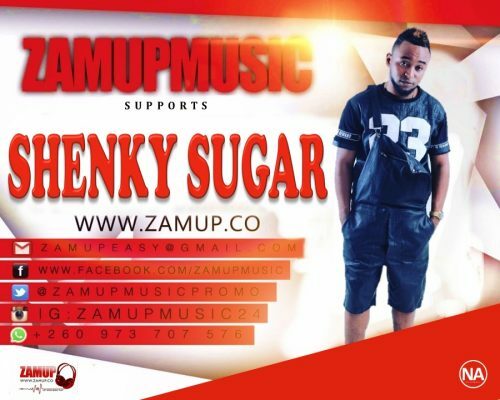 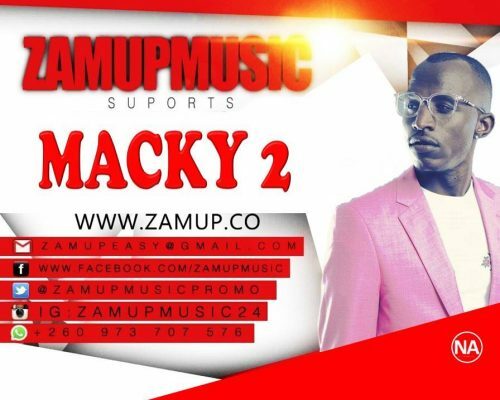 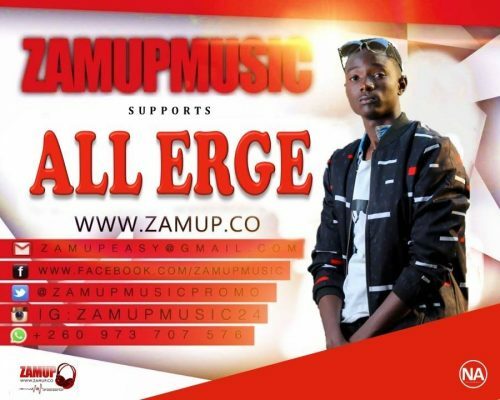 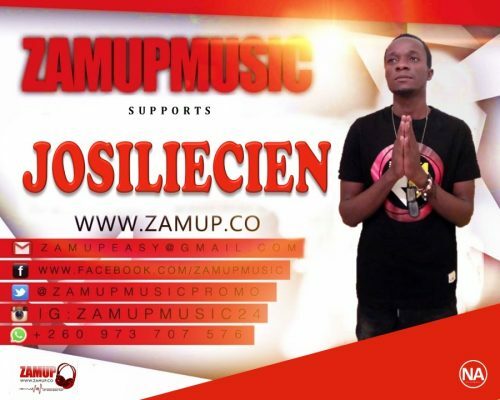 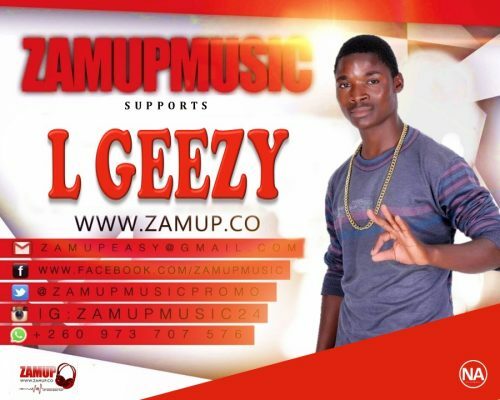 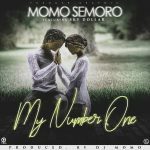 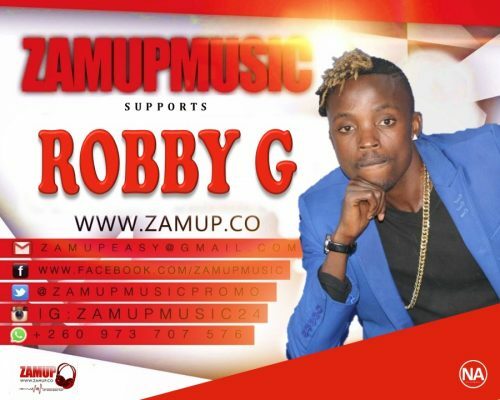 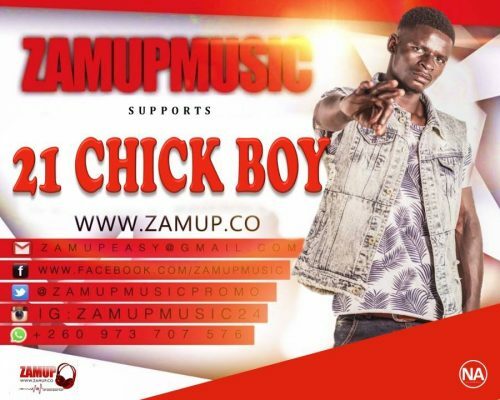 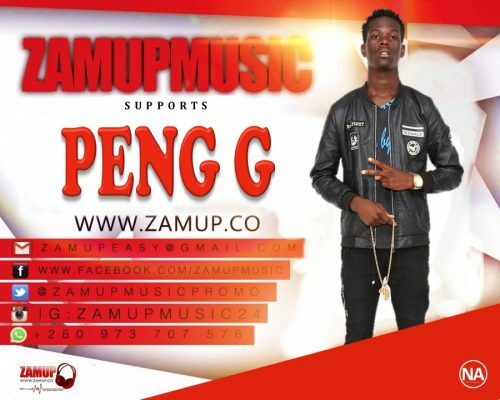 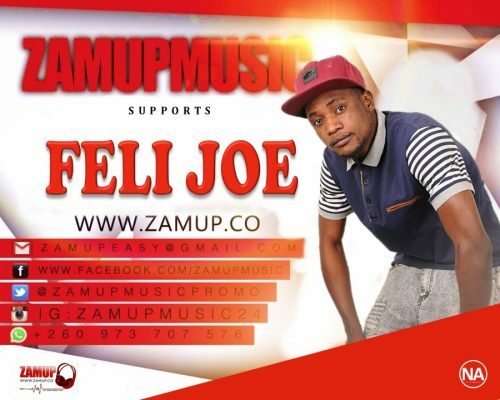 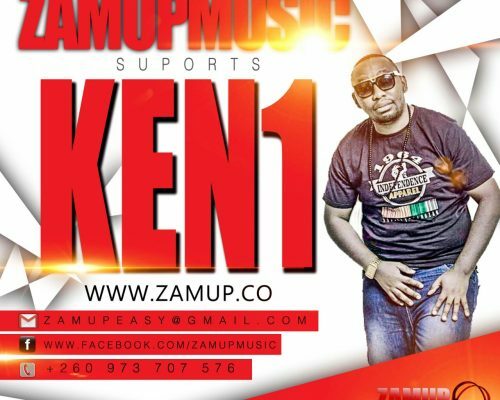 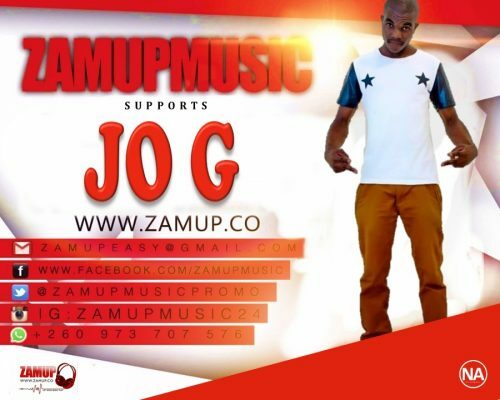 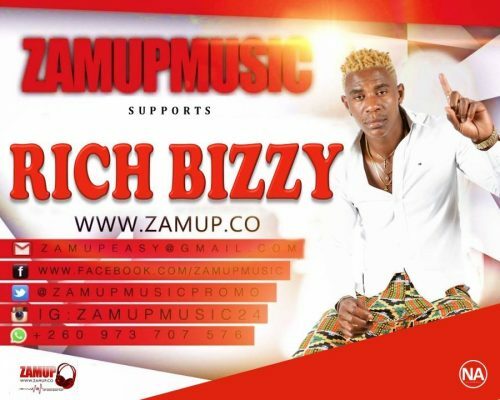 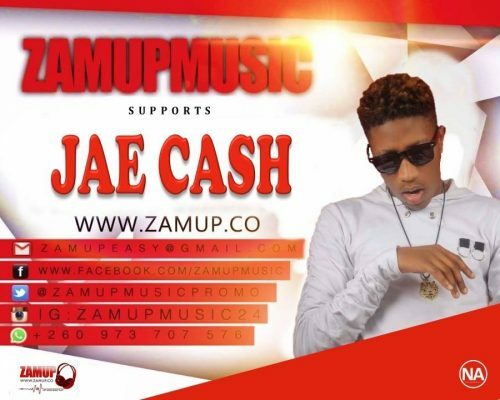 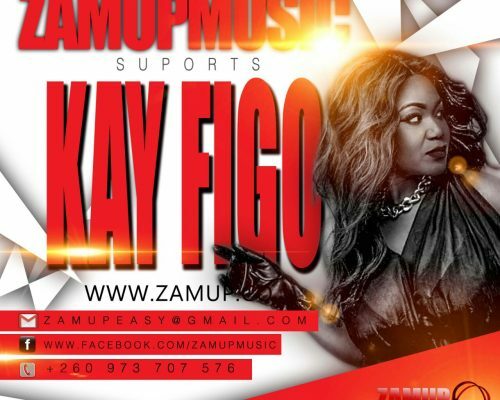 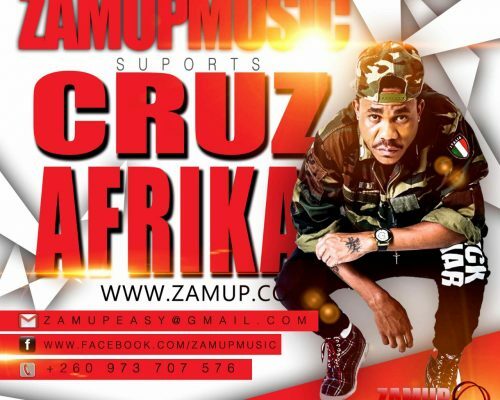 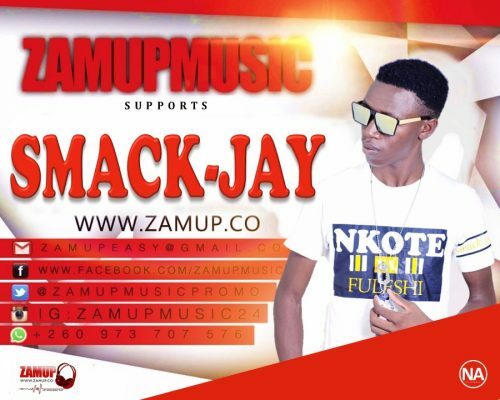 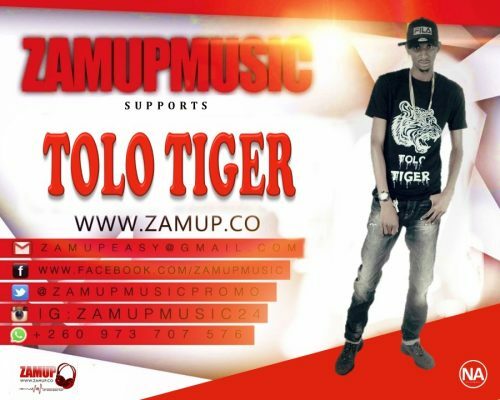 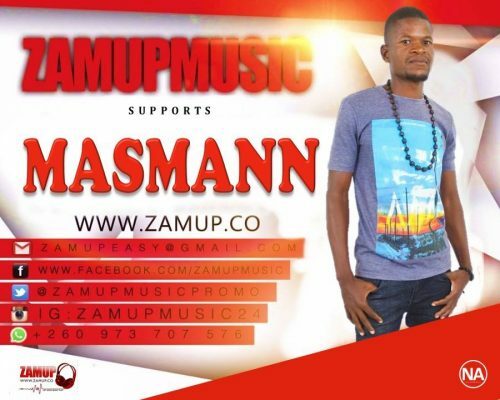 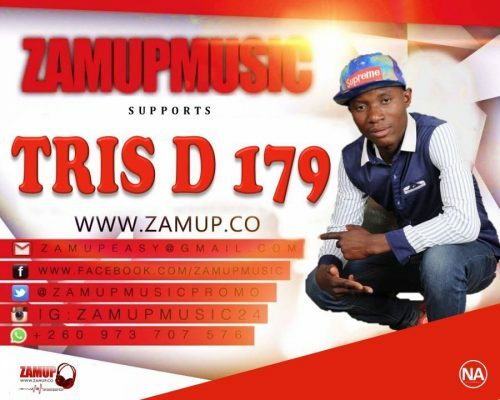 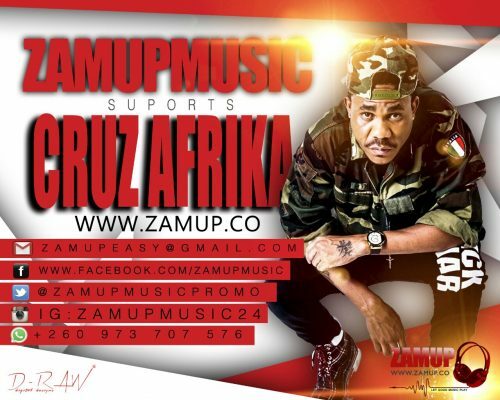 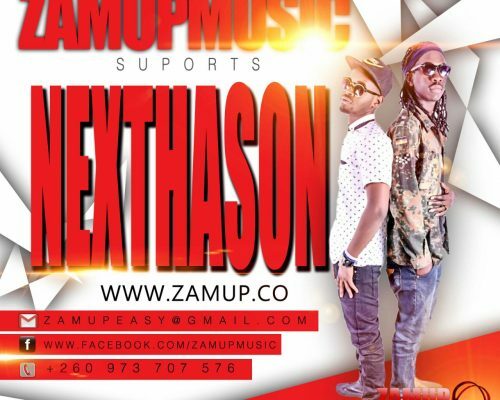 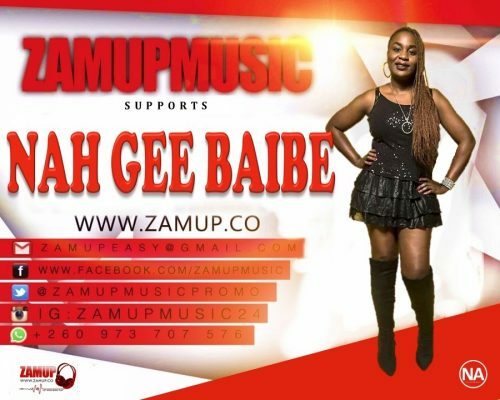 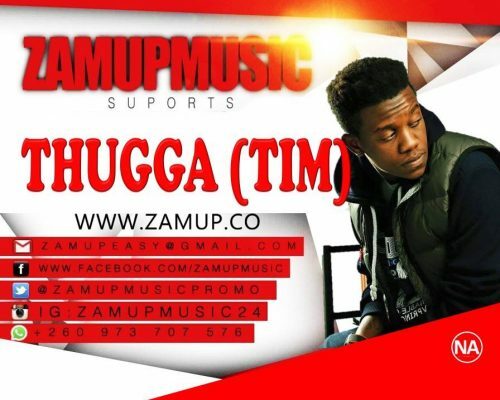 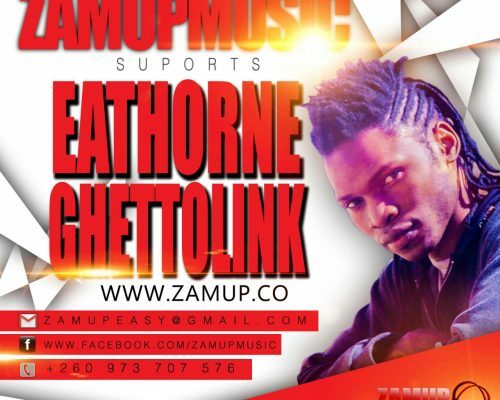 The song mocked a young Zambian woman of Petauke district who was reported to have been raped by a man who also filmed and published a video showing her nakedness. 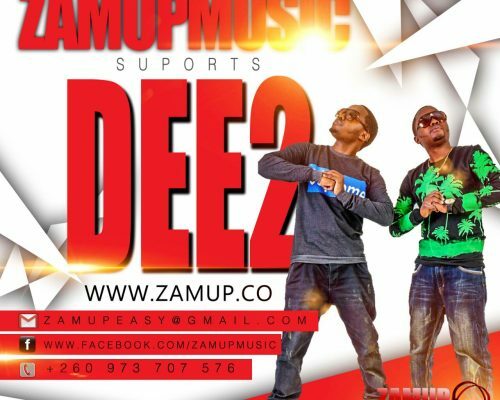 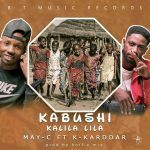 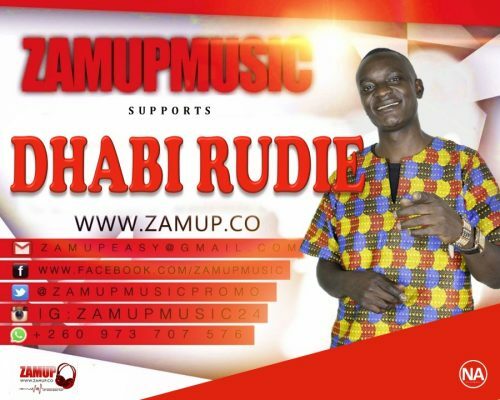 The duo made headlines earlier this month when their ‘Katundu Not Very big’ song went viral on social media following the petauke incident. 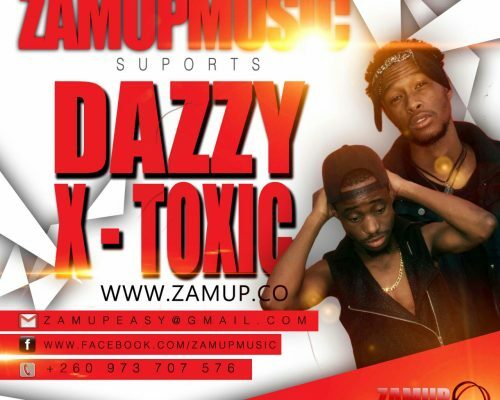 In a statement sent to Zamup the duo regrets releasing the song and have apologized for the wrong doing and the negative message the song carried. 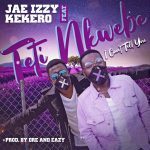 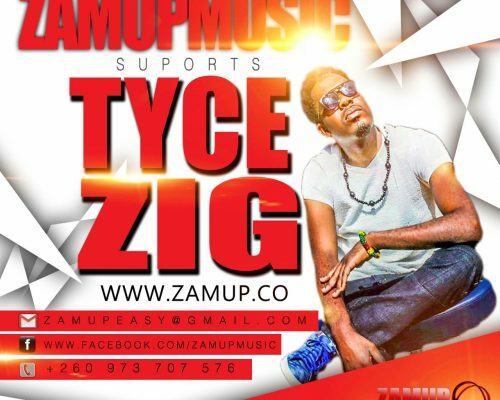 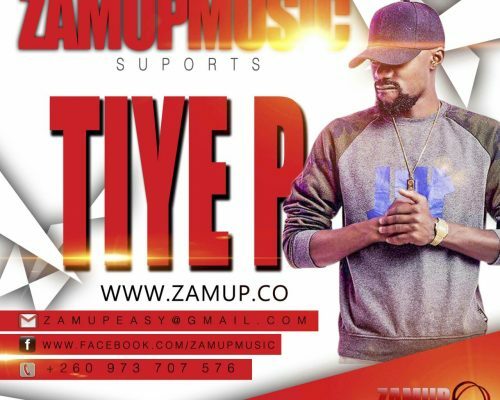 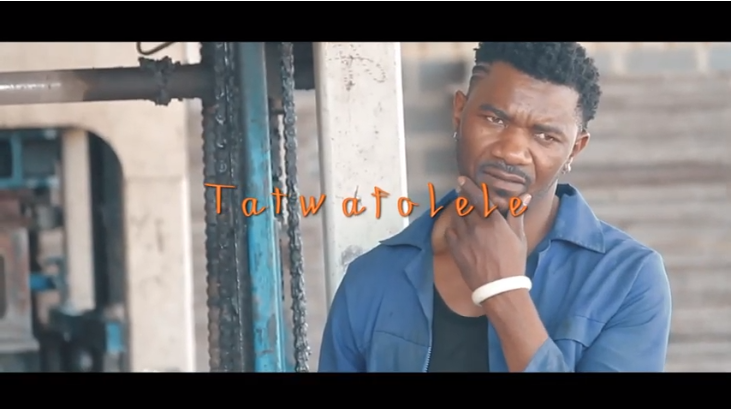 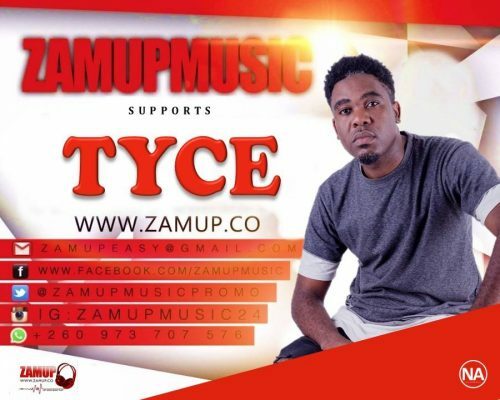 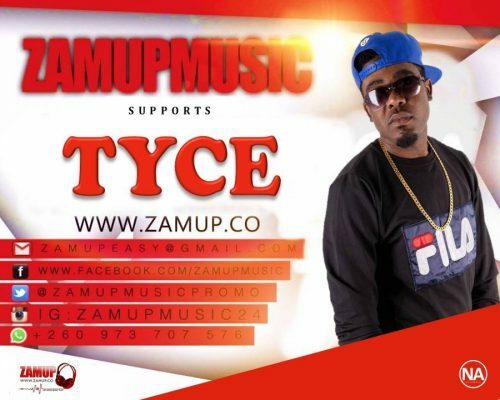 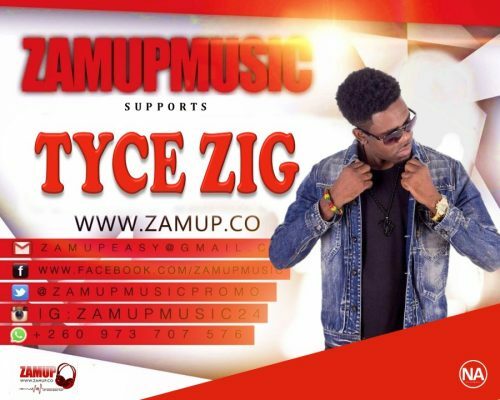 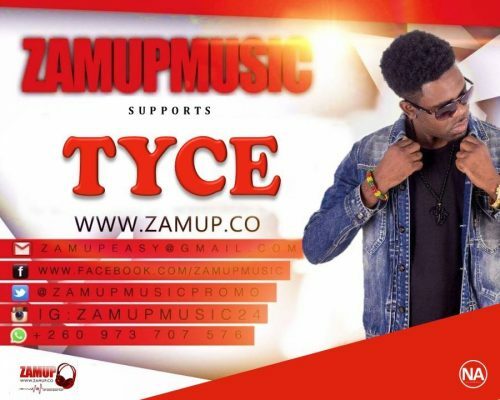 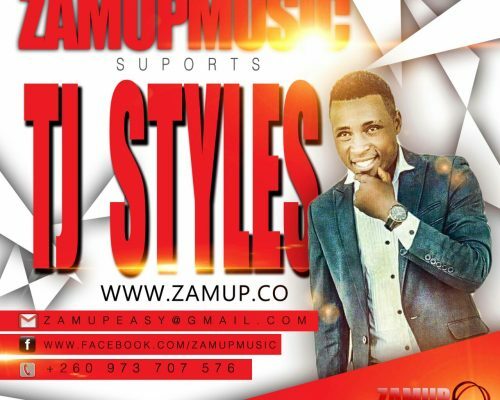 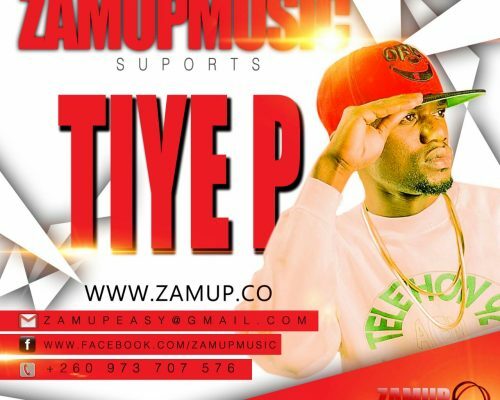 Tiye P Says some people are now Copying his new Different Image..
Zambia’s situational rapper Tiye P has expressed disappointment at artists who are copying his style of approach towards the Countries Hip-Hop Music. 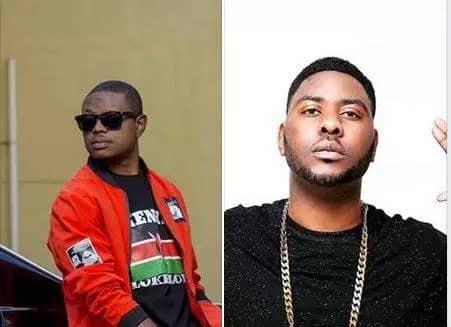 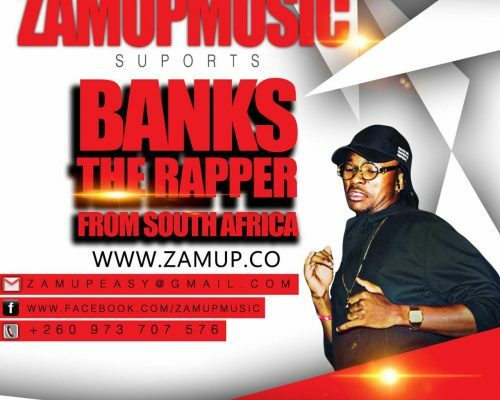 The Rapper who is known to sing about unusual emerging situation in the country has expressed displeasure at artists who are in a habit of doing whatever he does. 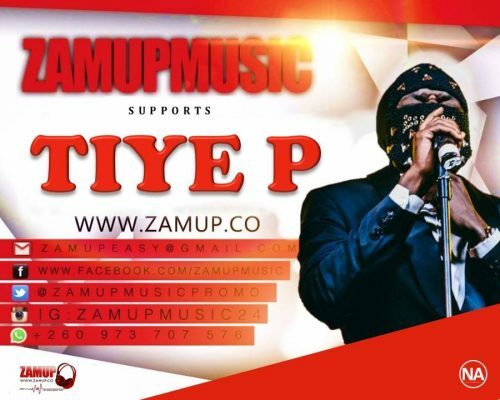 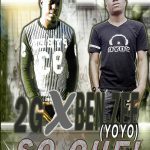 In his latest Facebook posting, Tiye P (Hip Pop Rapper ) says, ‘so now people are copying The Difference Image.Ba guy yashani??’. 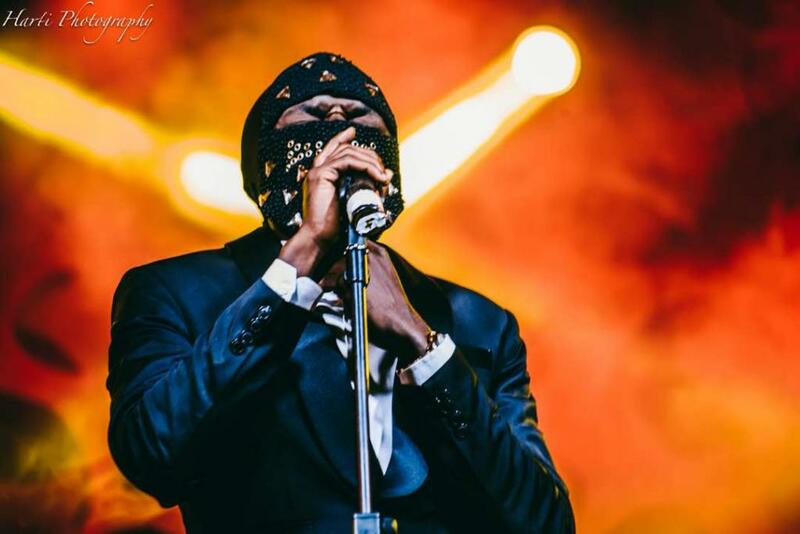 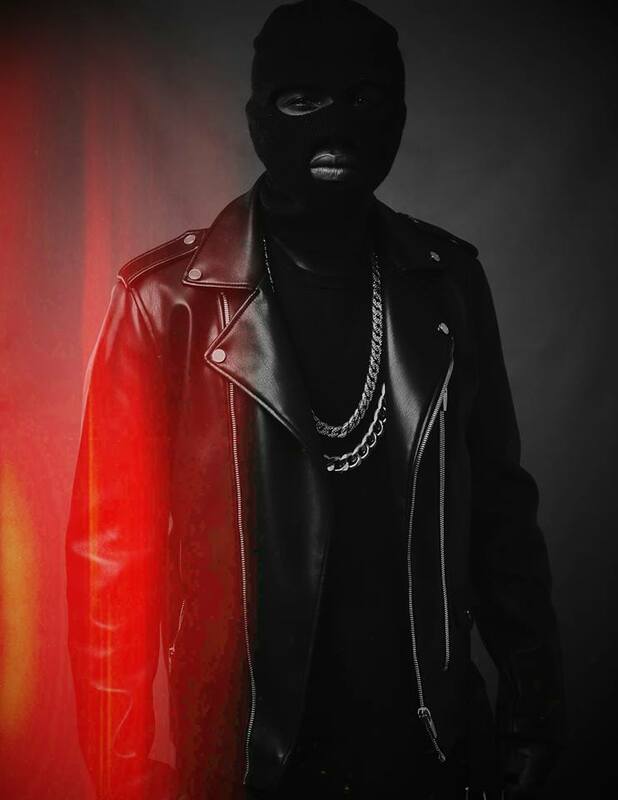 Tiye P being a forward-thinking artiste as he commences a new era in his stage performances was seen wearing the Estelle Mantel Mask for the first time at Jay Rox‘s Album Launch for Outside the Rox 2. 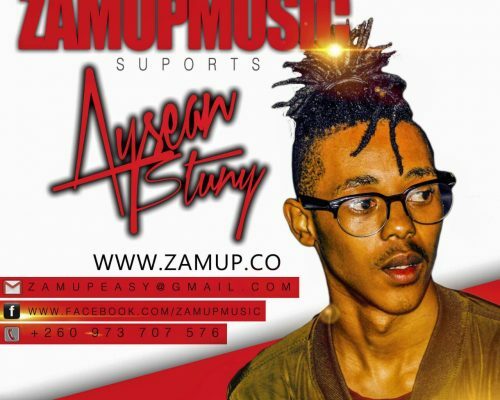 It has been noted that we have alot of Local TALENTED upcoming artists but most of them lack money to record their music from proffesional Studios. 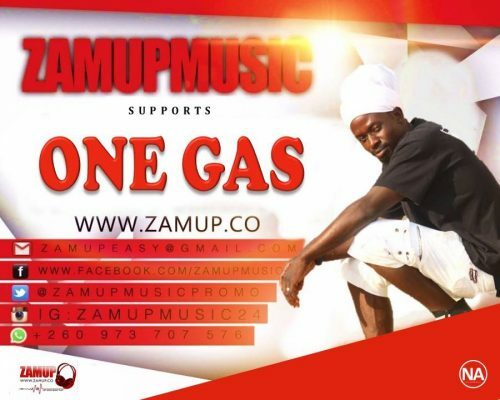 Therefore, we have a Solution! 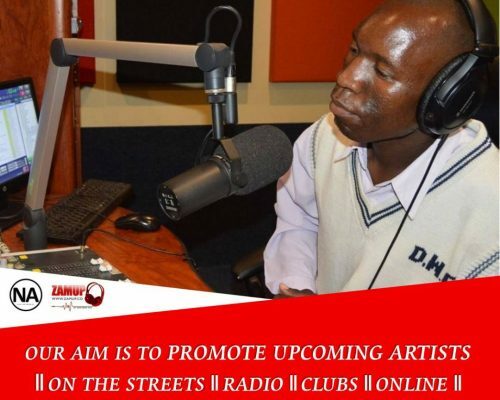 Its a Sign up Program. 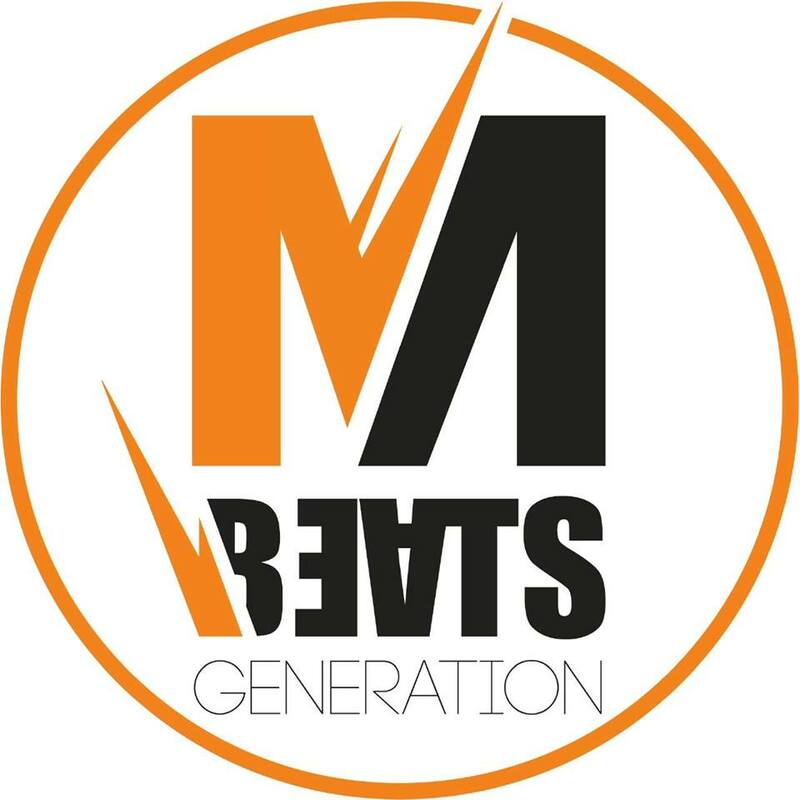 Those who will be signed on this program will be paying only a K50 as MONTHLY subscription fee to M. Beats Generation Music and will be given an apportunity to be recording some songs every month. 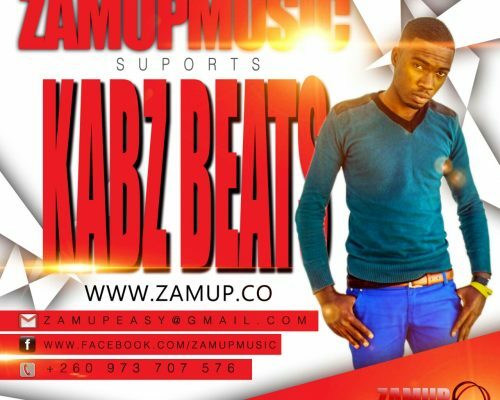 For a start, we only have 50 spaces available, We hope to increase the number in future when we have capacity to do so. 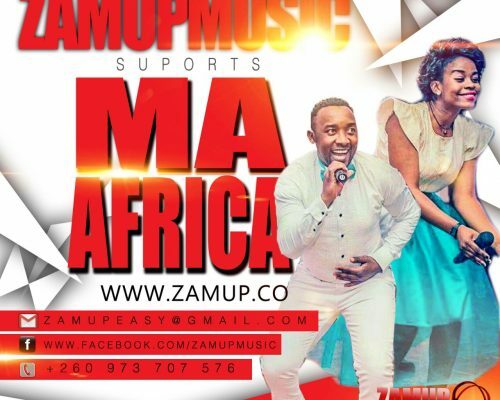 It doesnt matter which city or province you are FROM! 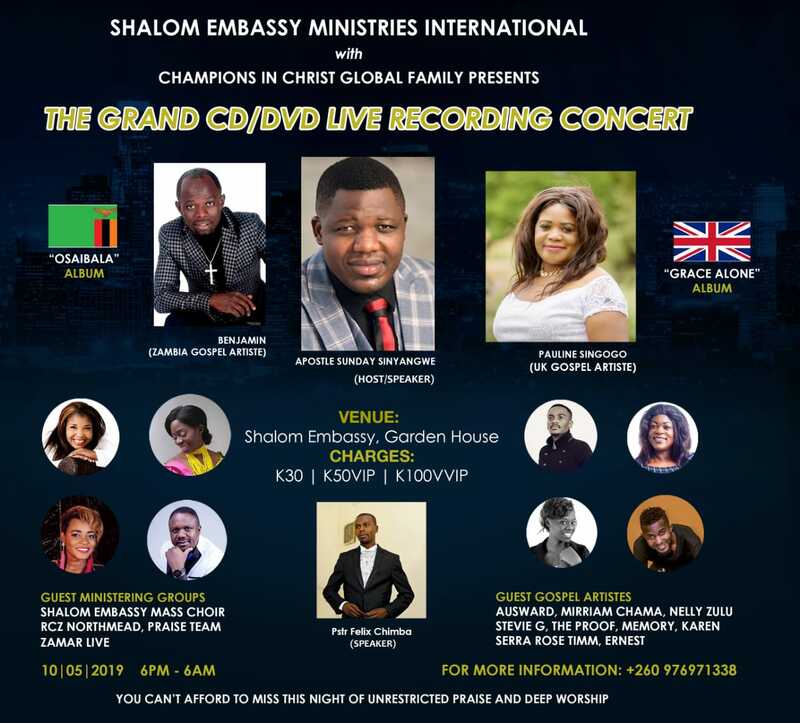 This is for everyone as long as you are In Zambia! For those who want to do this, Whatsap, call or Text us on 0977381930 for Terms and Conditions. 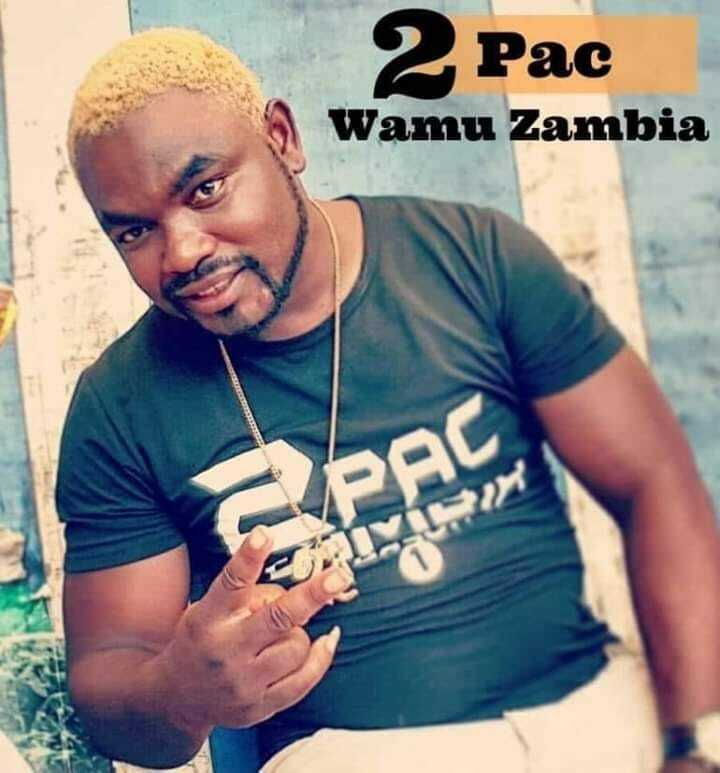 It’s finally confirmed. 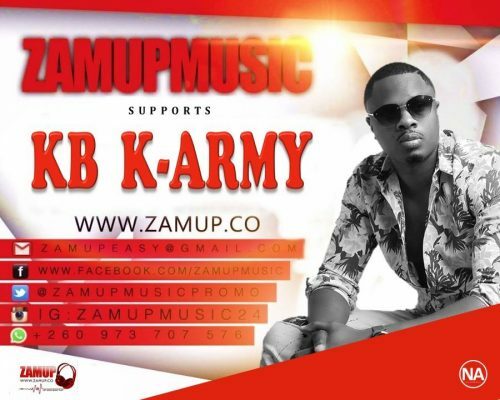 Kb drops his 2nd studio album titled Thankful on 17th October 2018. 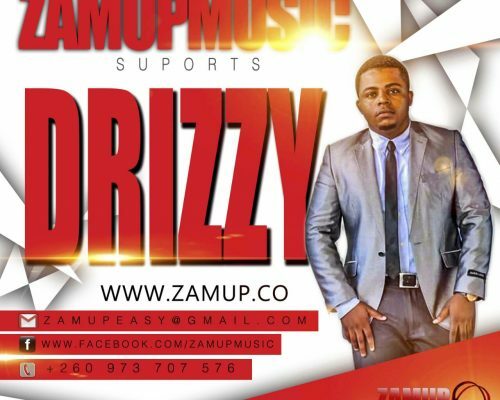 This Album is a dedication to his fans. 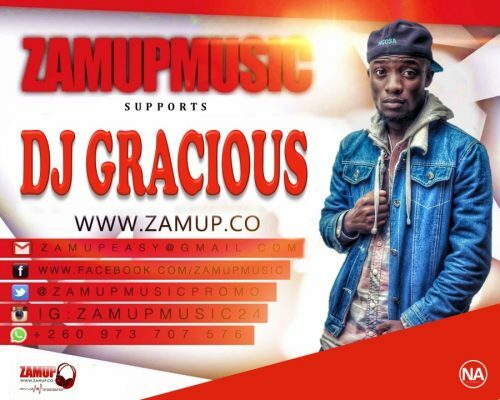 He is simply appreciating them for supporting him for over 10years. 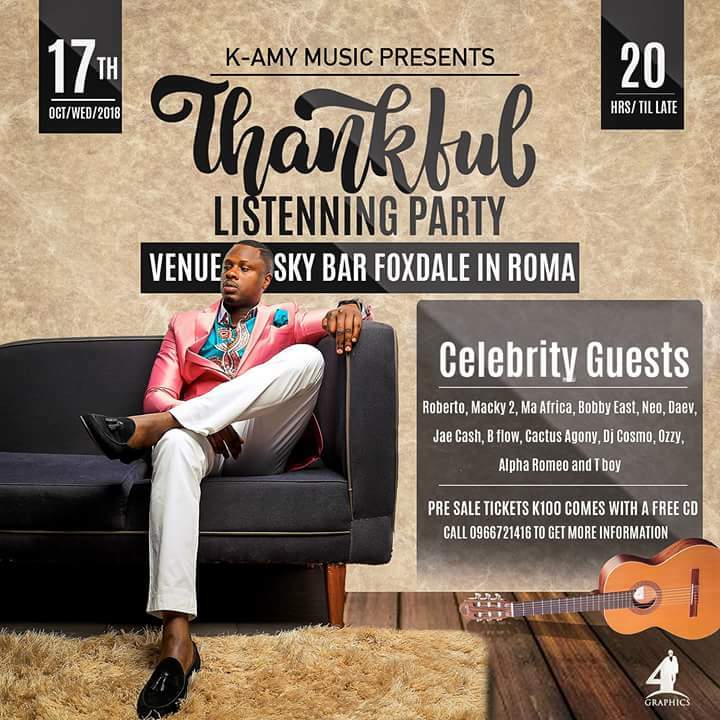 The listening party will be at Sky bar n on 17th october. 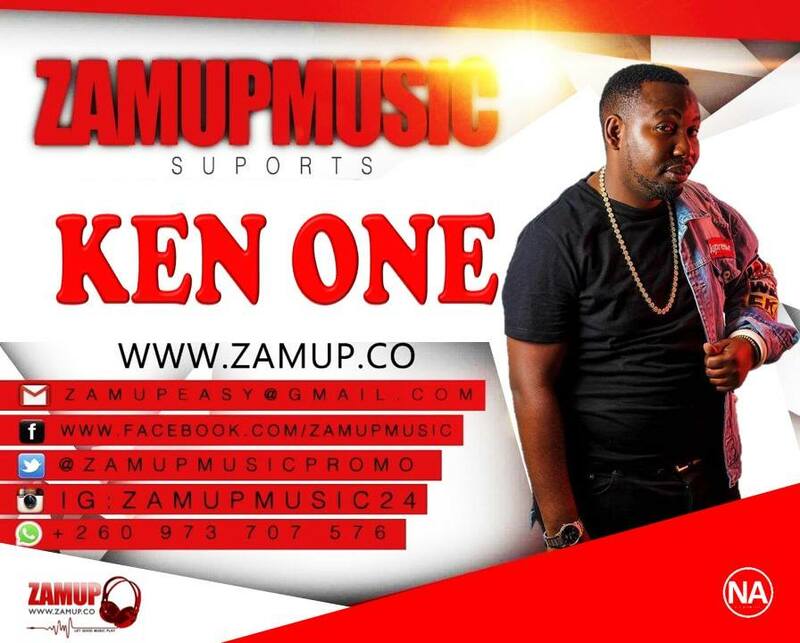 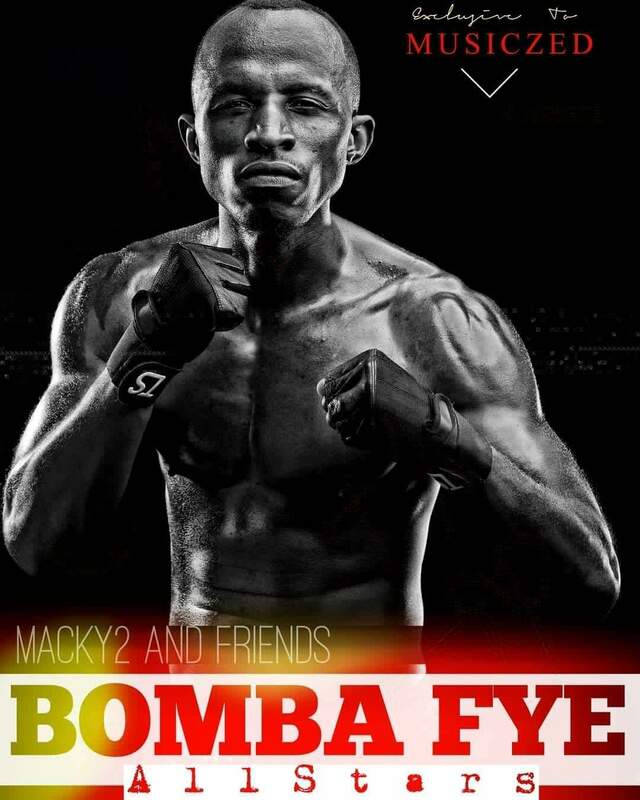 Tickets are K100 only and you get a free copy of the album.